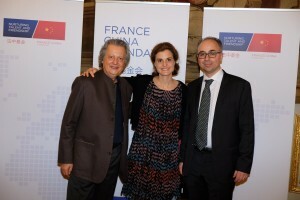 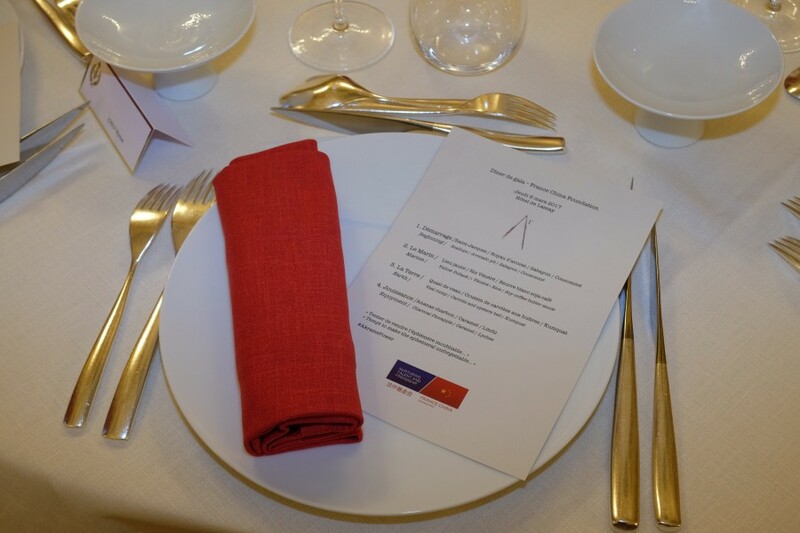 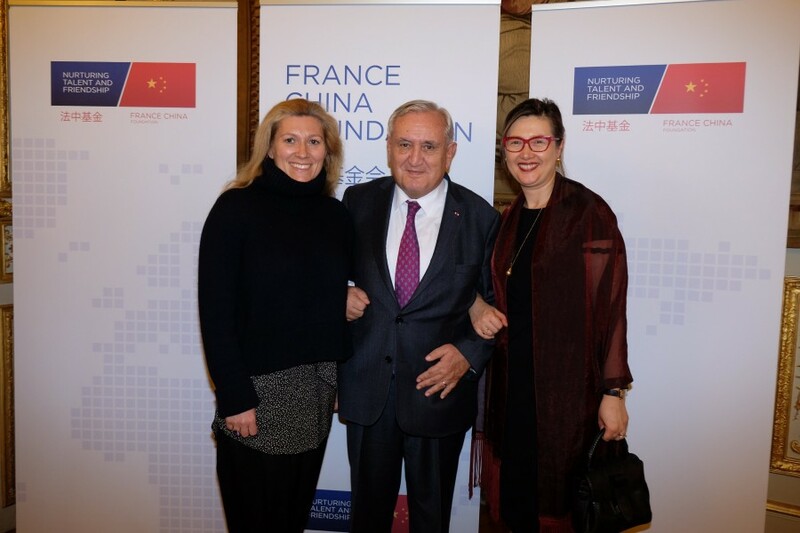 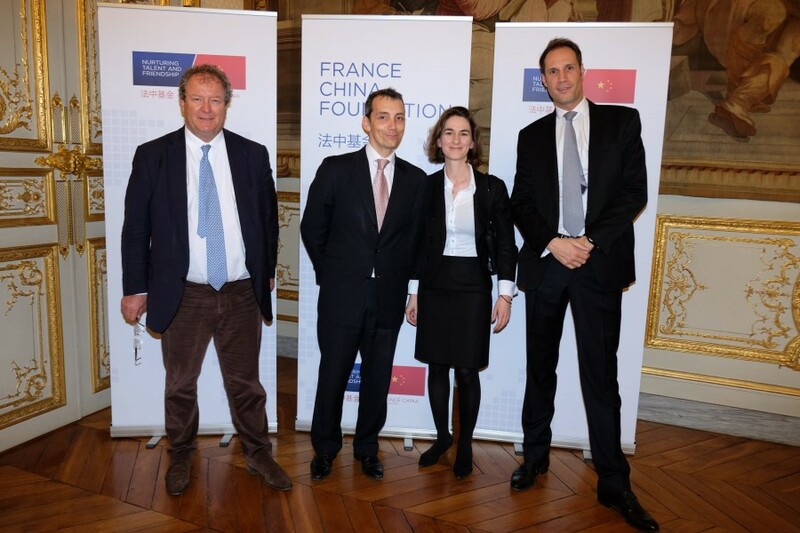 All along the year, the France China Foundation organizes Sino-French events, with either a business, political, cultural or academic focus. 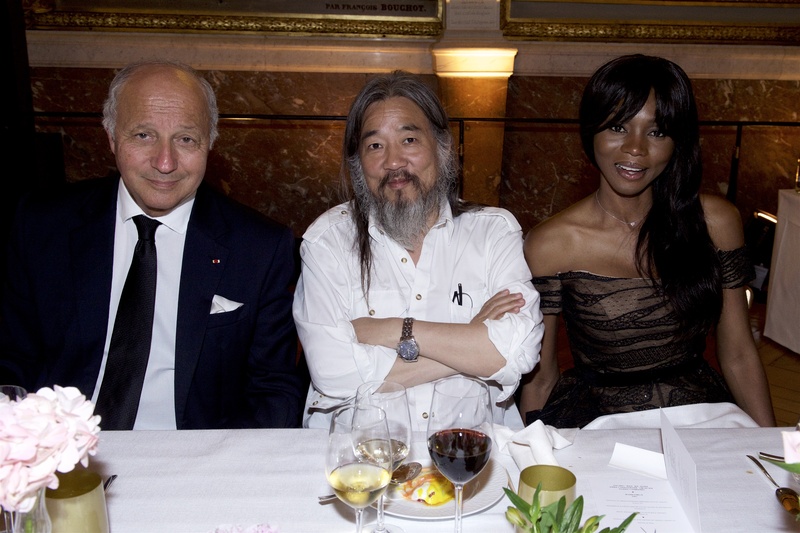 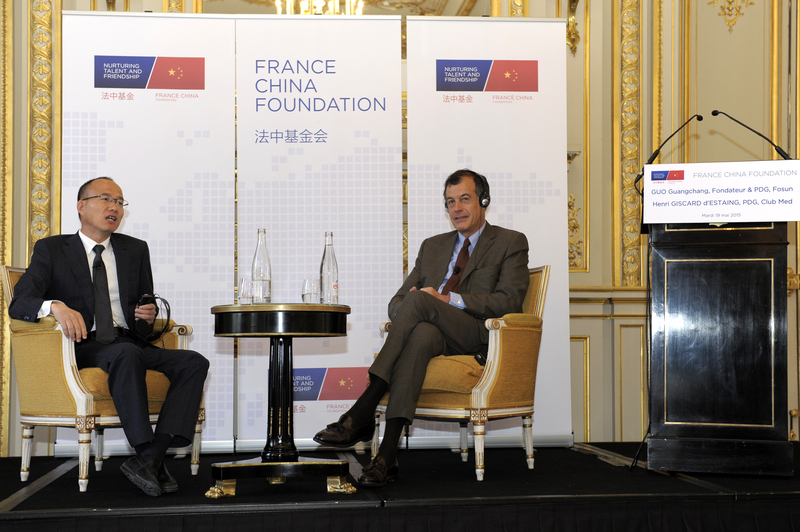 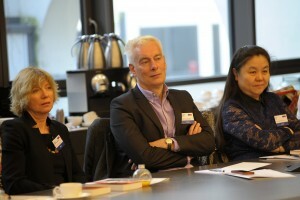 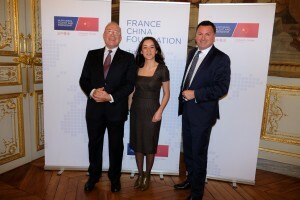 These events take place in France or in China, facilitating dialogue between French and Chinese leading personalities. 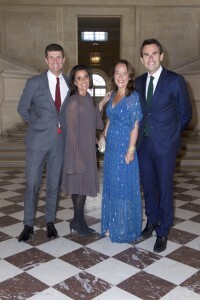 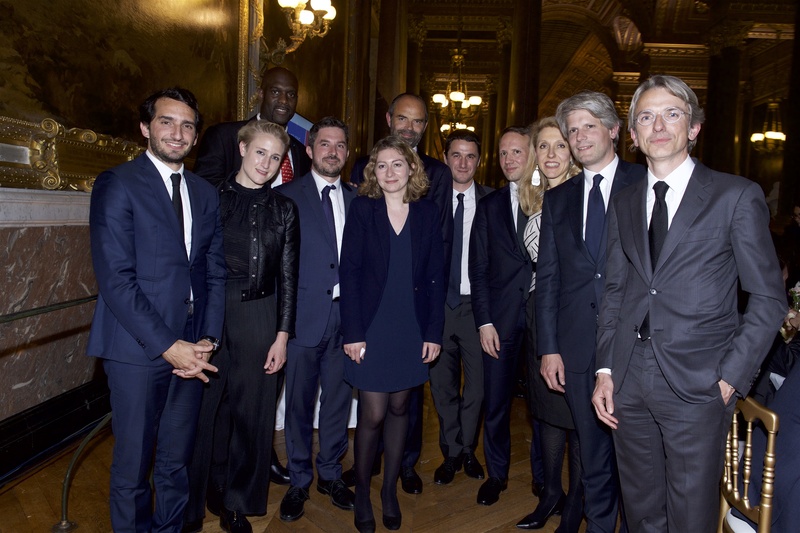 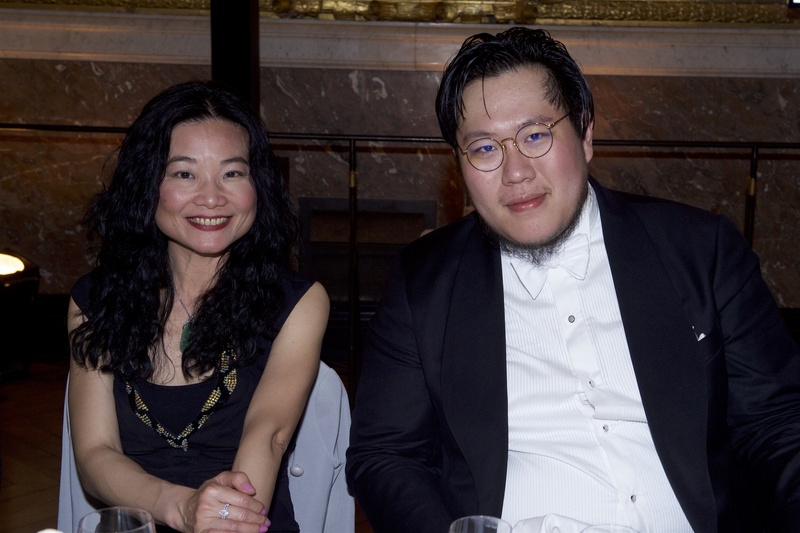 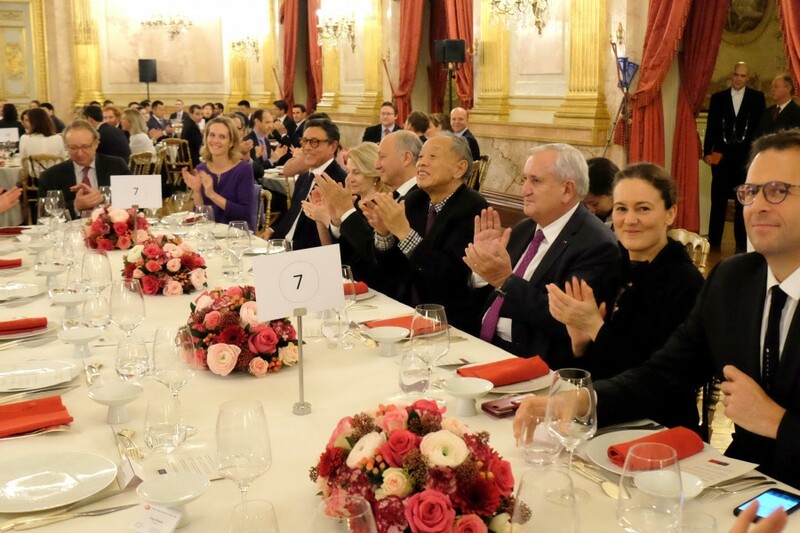 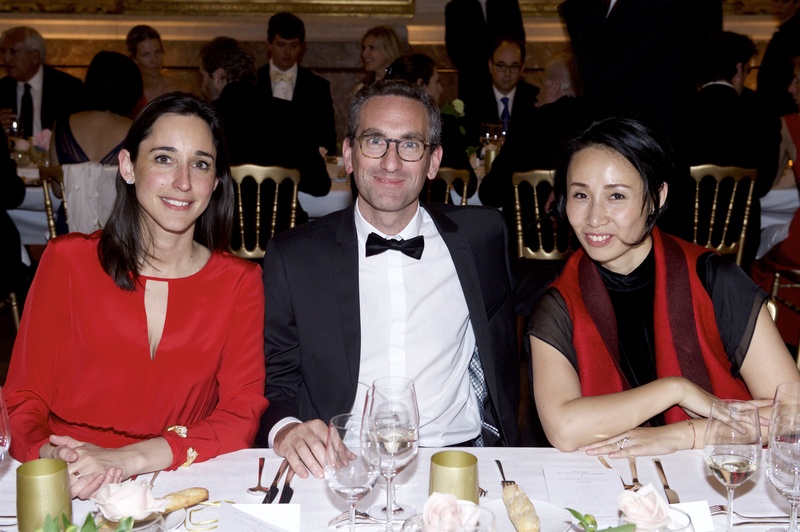 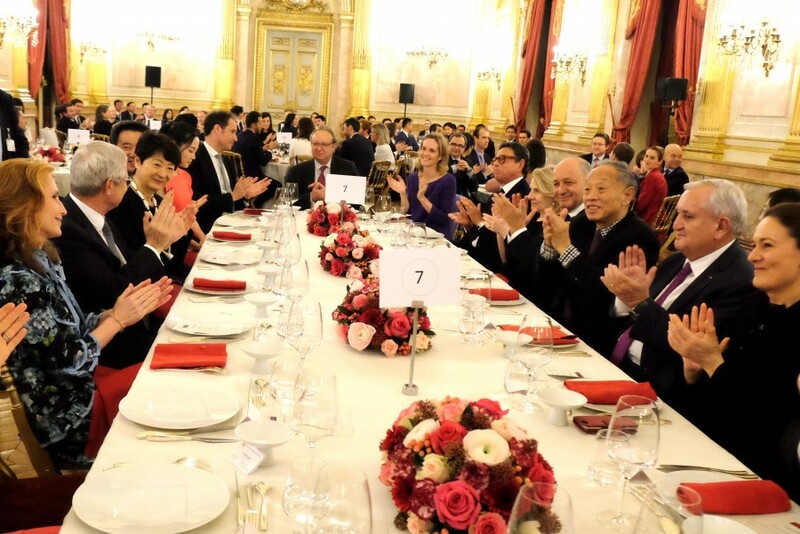 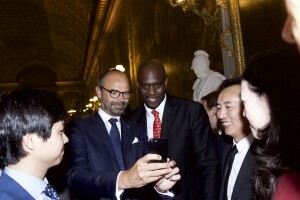 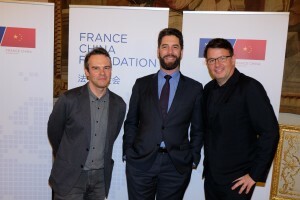 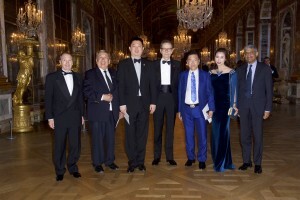 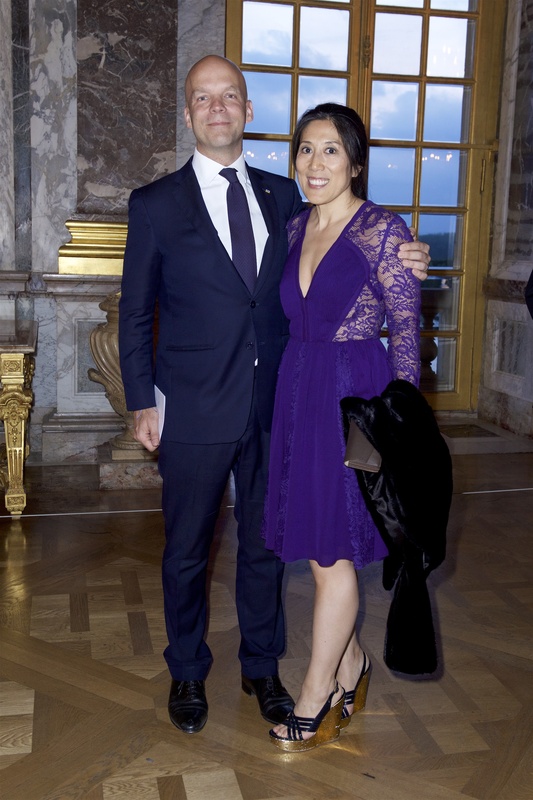 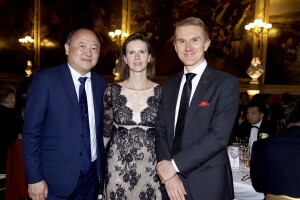 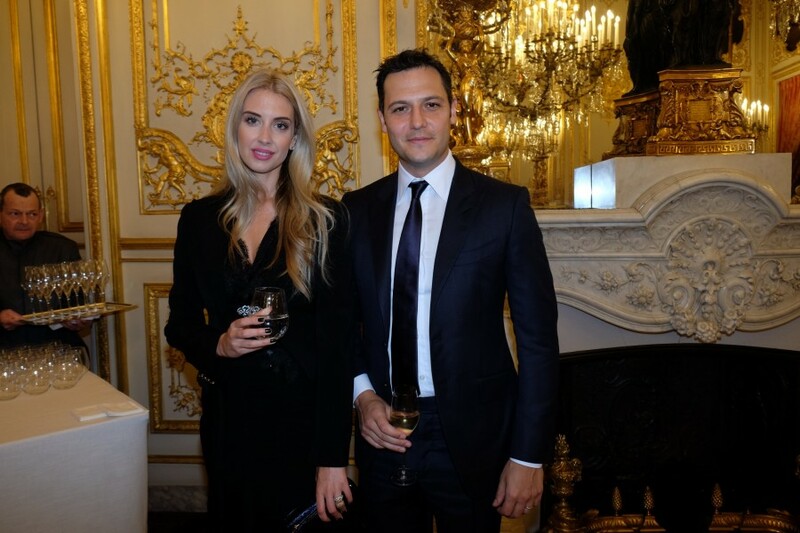 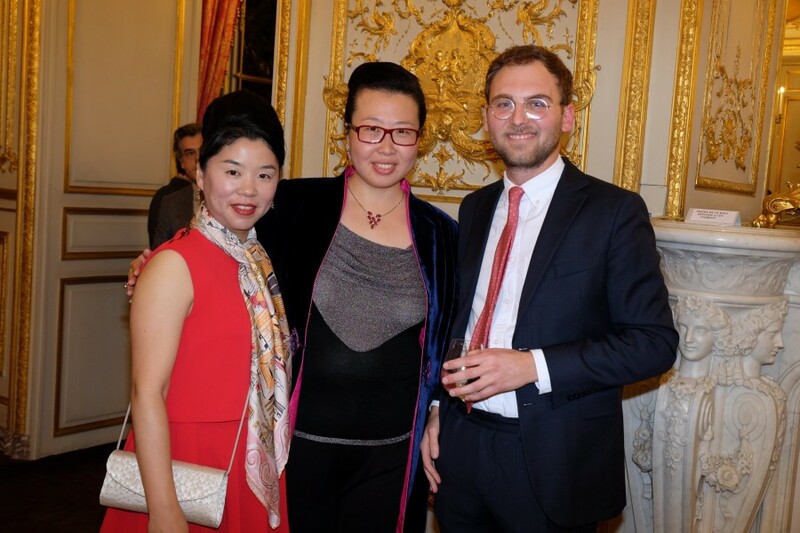 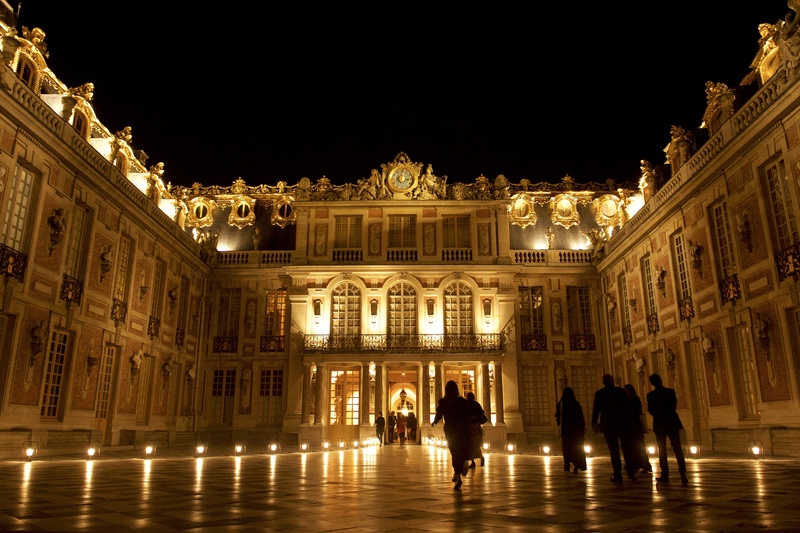 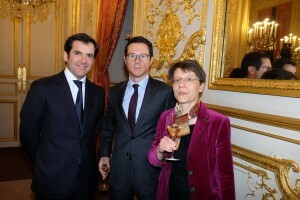 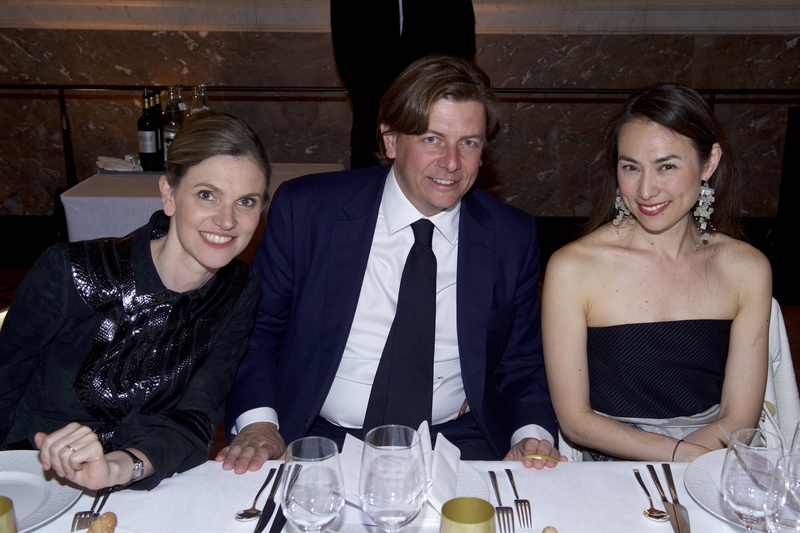 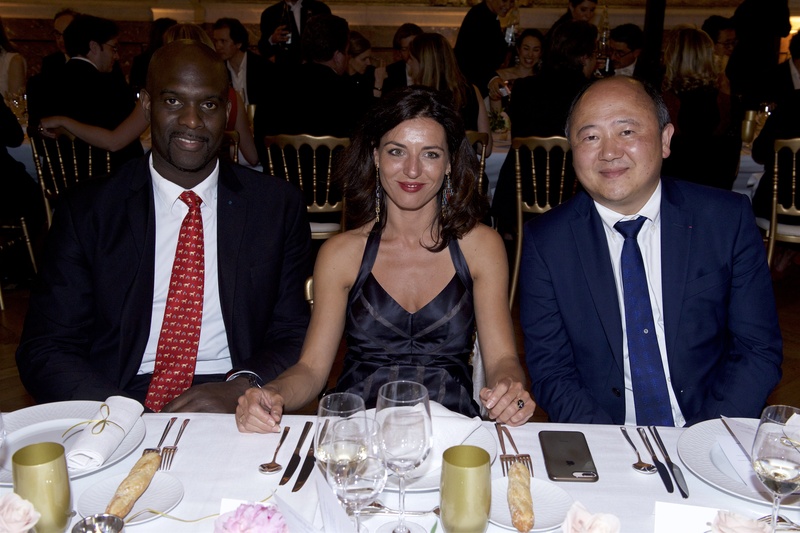 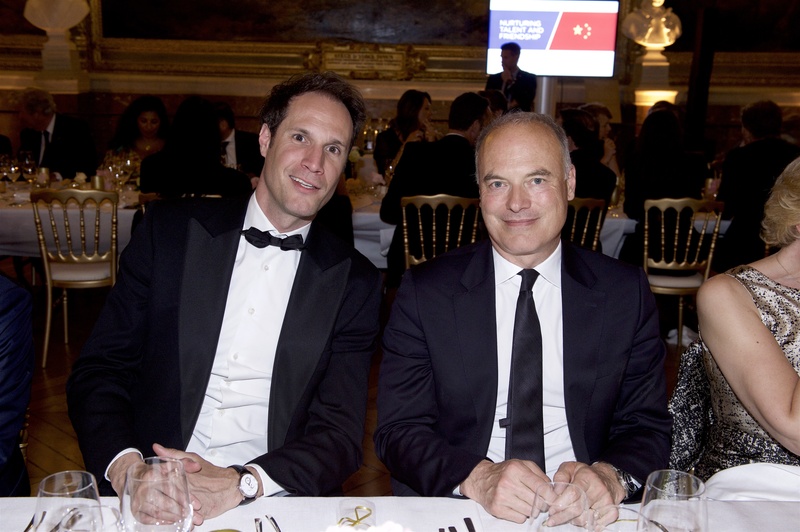 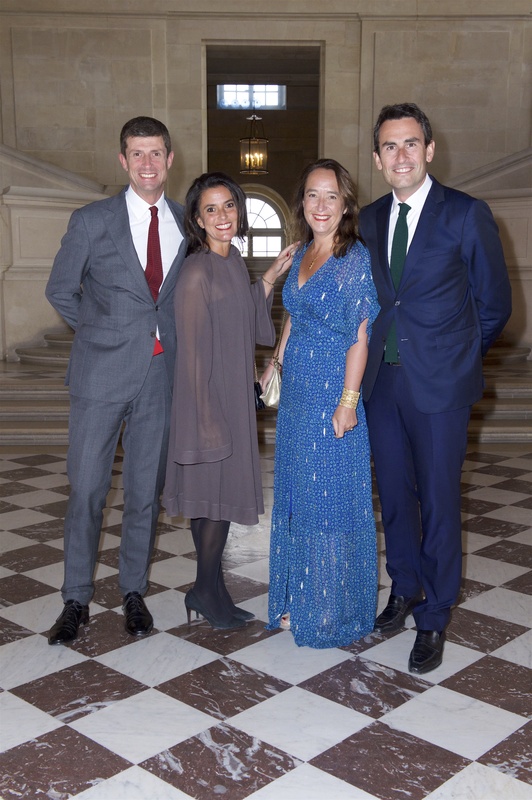 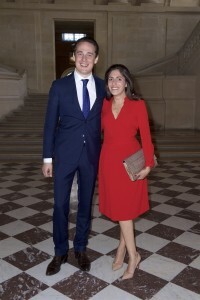 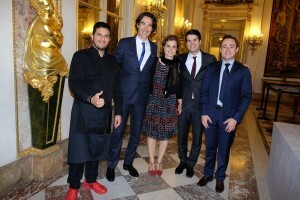 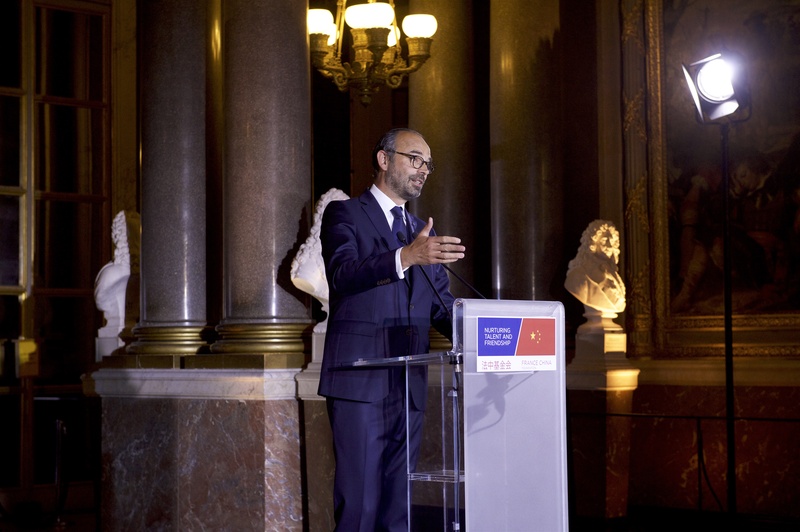 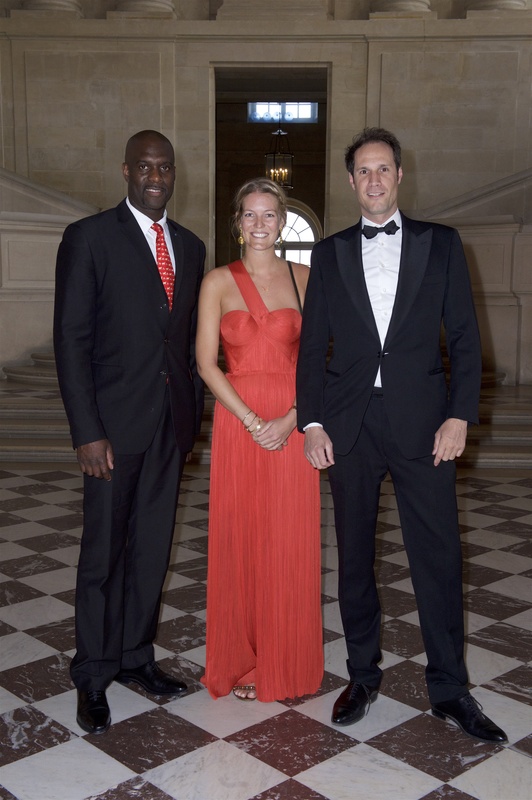 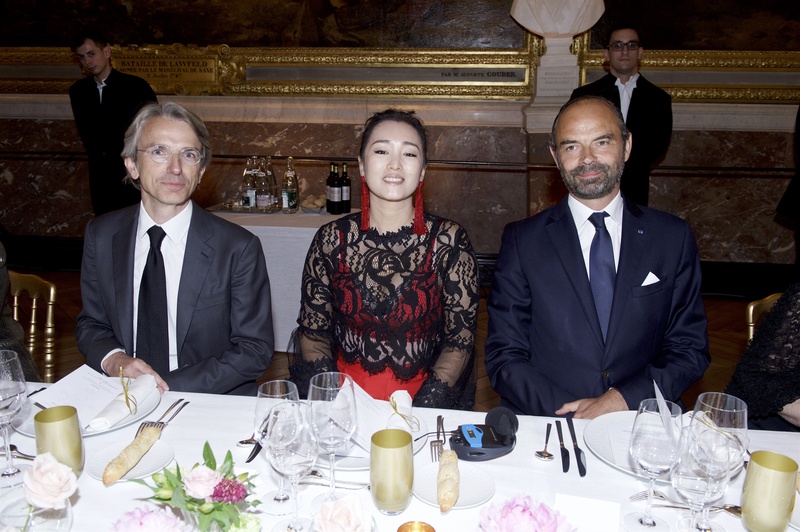 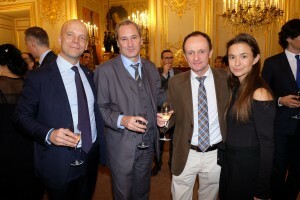 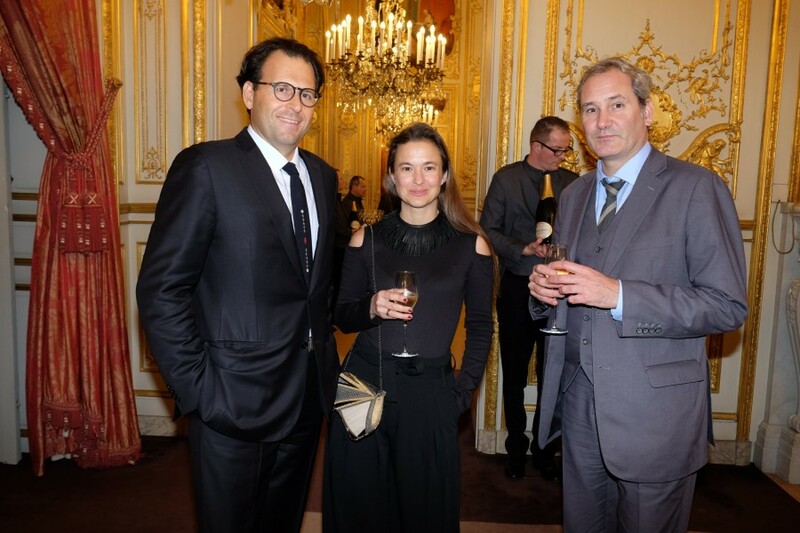 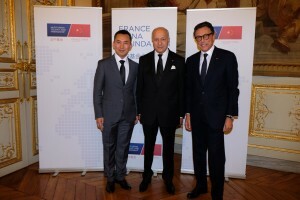 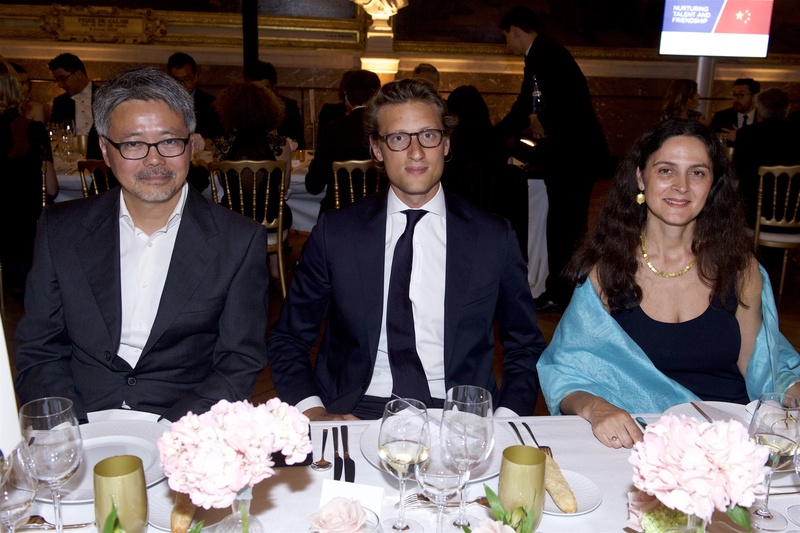 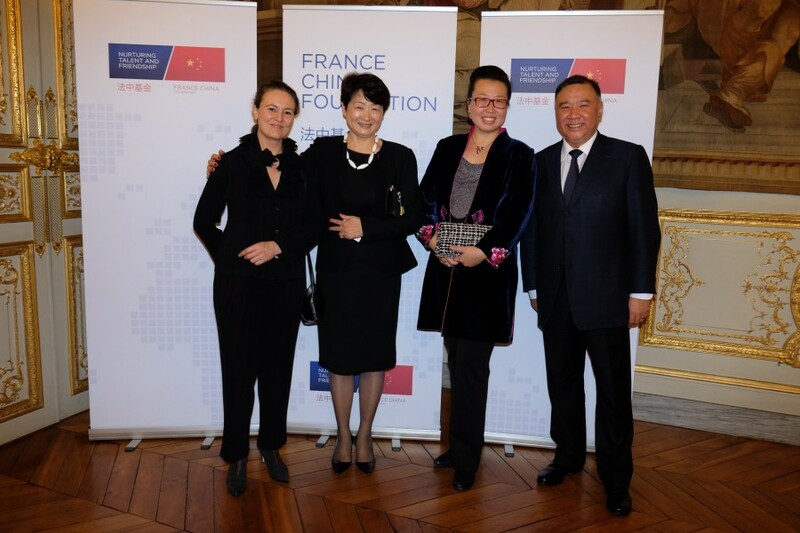 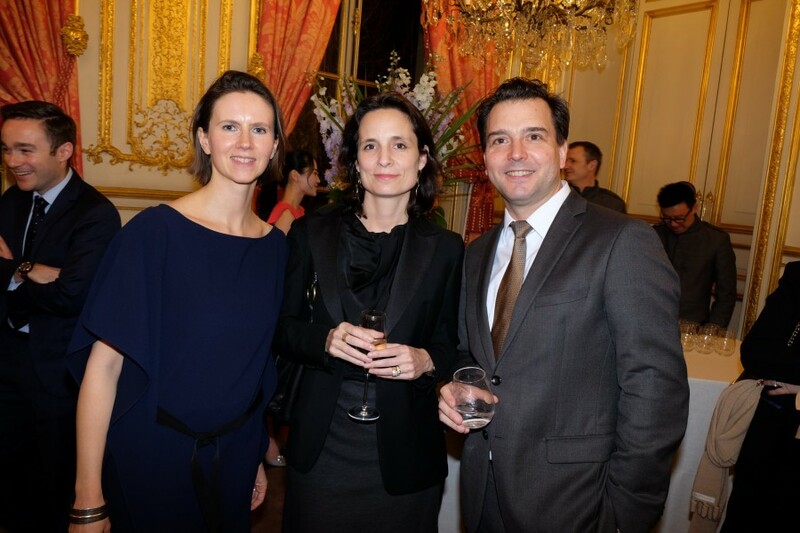 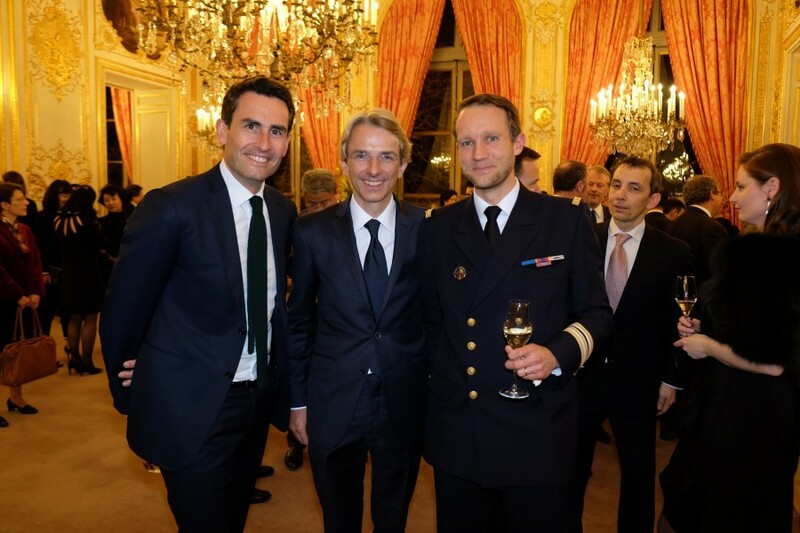 Under the high patronage of President Emmanuel MACRON, and in the presence of Prime Minister Edouard PHILIPPE, France China Foundation held its second gala dinner in the Palace of Versailles orchestrated by Akrame Benallal, Michelin-starred chef and Young Leader. 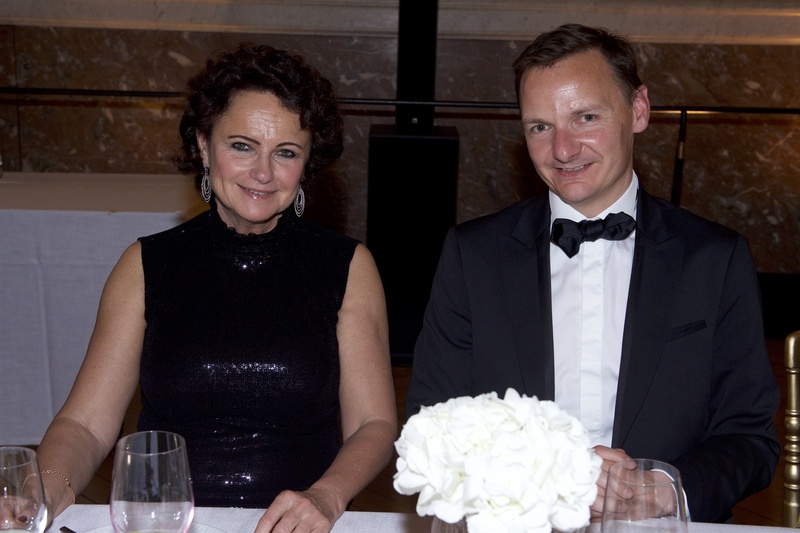 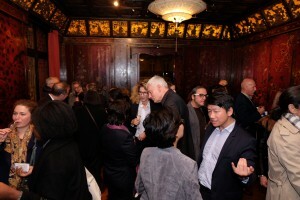 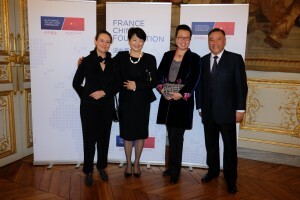 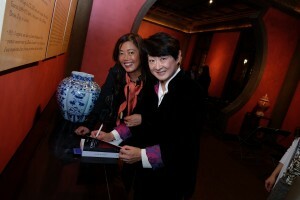 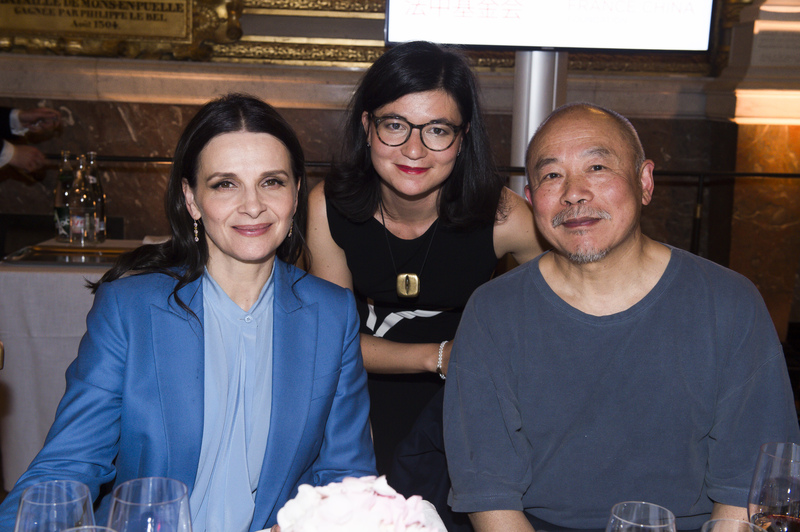 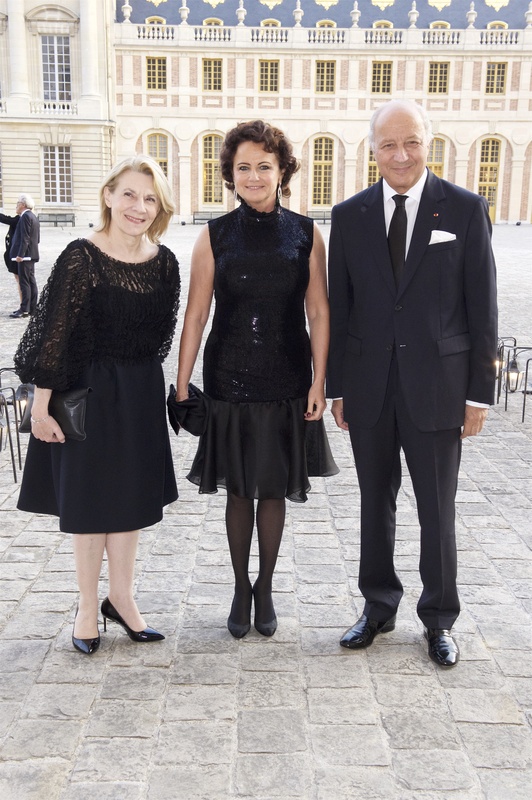 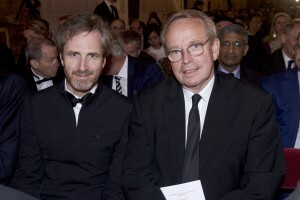 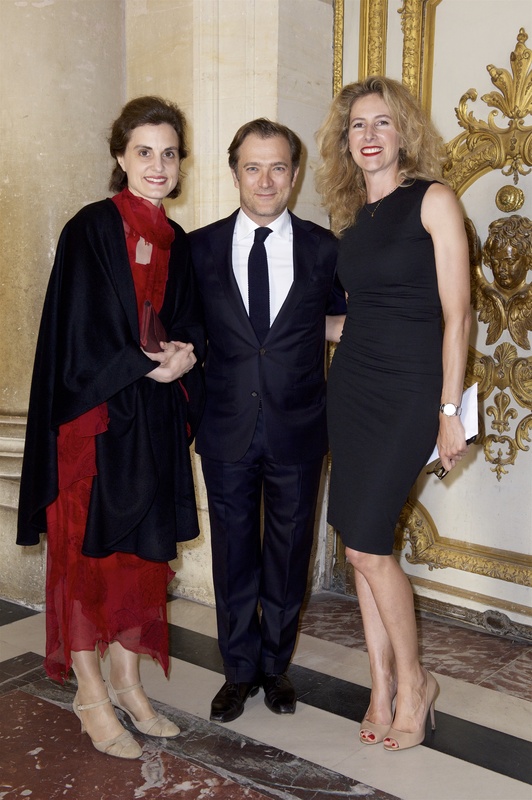 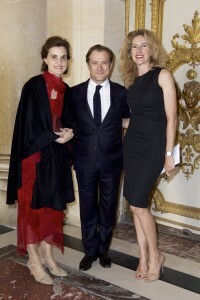 Our guests of honor were Gong Li and Juliette Binoche. 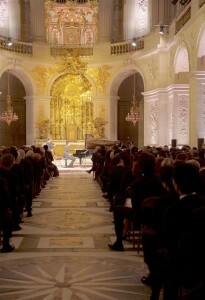 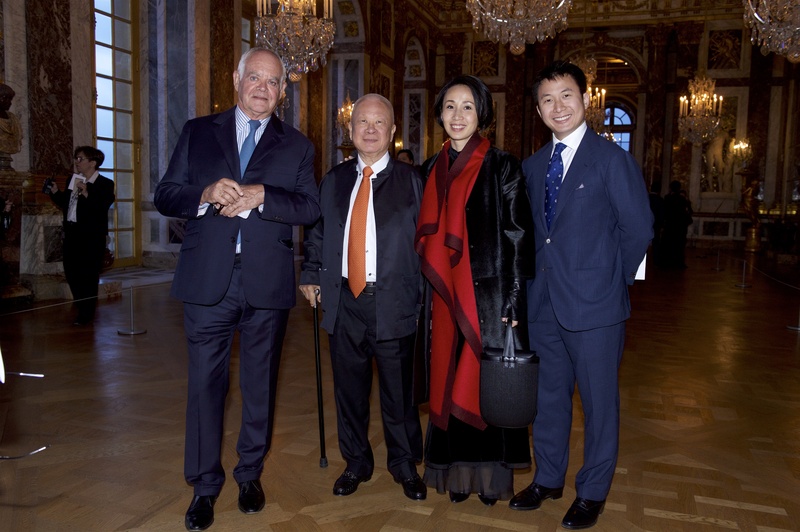 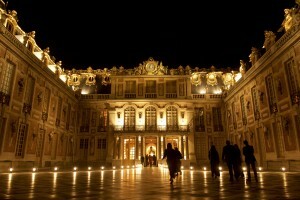 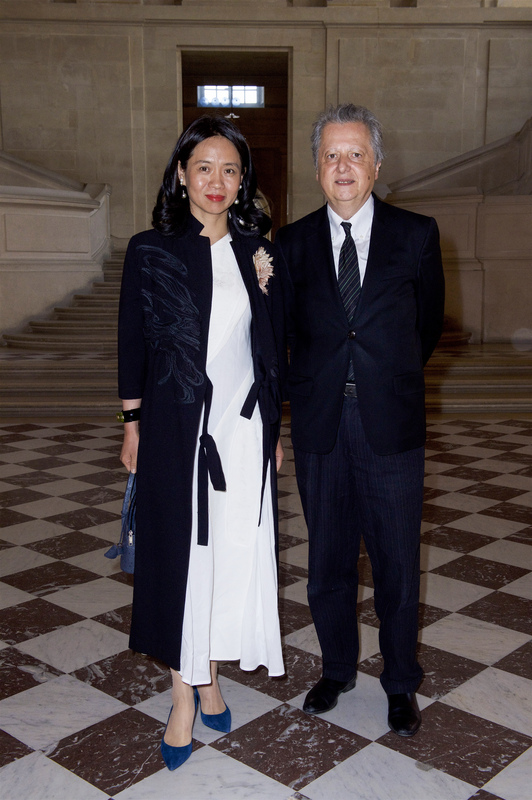 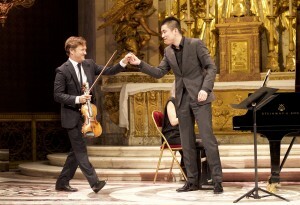 A concert was organised in the Royal Chapel of the Palace, performed by French violonist Renaud Capuçon and Chinese pianist Xue Yingjia. 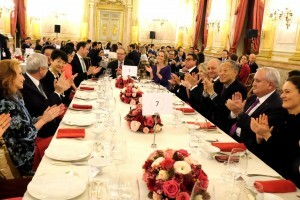 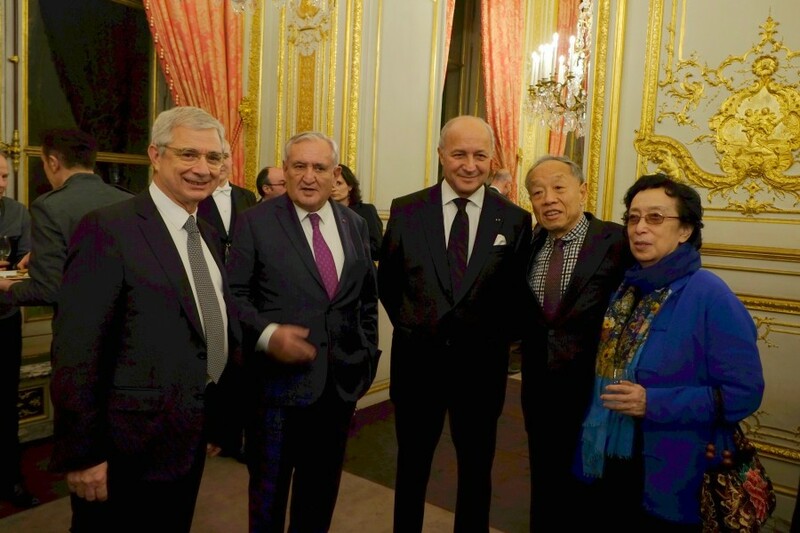 Among our guests: Brune Poirson – Secretary of State to the Minister for the Ecological and Inclusive Transition, Wang Keping – sculptor, Yan Peiming – artist, Ken Hu – Deputy Chairman and Rotating CEO at Huawei, Jean-Pierre Raffarin – former Primer Minister, Laurent Fabius – former Prime Minister, President of the Constitutional Council, Louis Schweitzer – Former Chairman of Renault, Ana Girardot – actress. 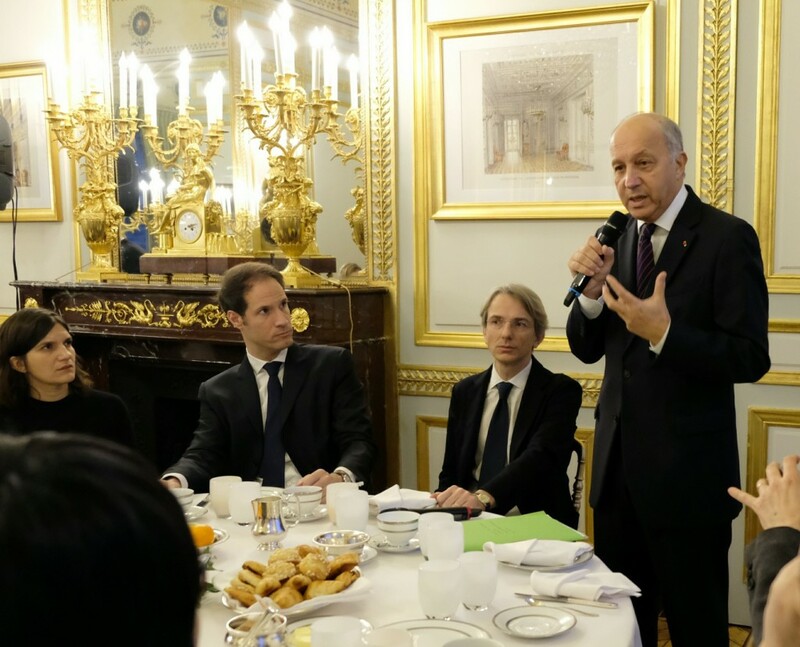 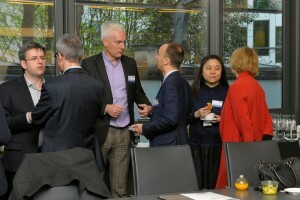 The day before the openning of the Climate summit, France China Foundation has gathered its members and Young Leaders around a breakfast about “France and China face the climate challenge” around Laurent FABIUS, former President of the COP 21. Pourquoi les chinois ont-ils le temps? 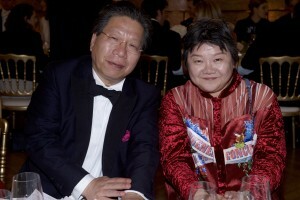 (Why do Chinese people have time?) 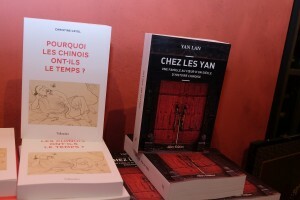 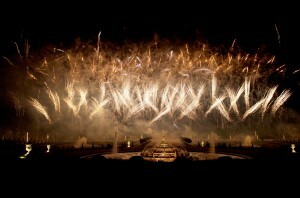 (Tallandier Editions), Christine CAYOL, Philosopher and Founder of Yishu 8. 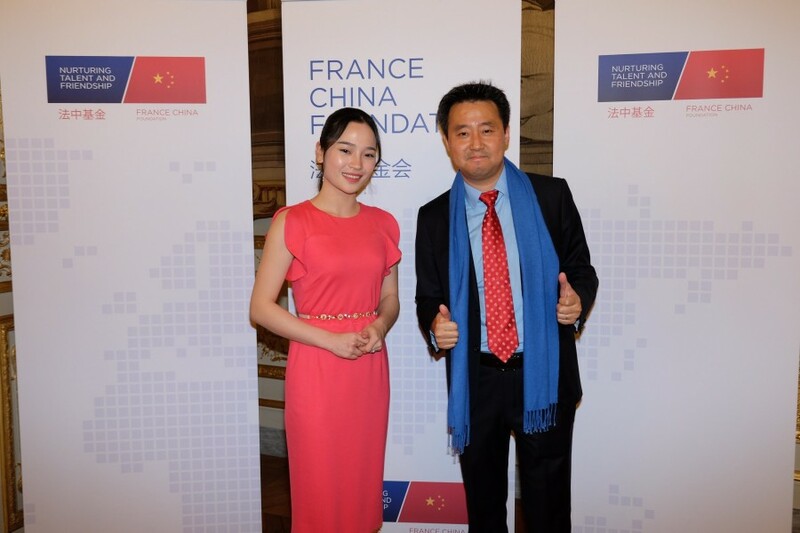 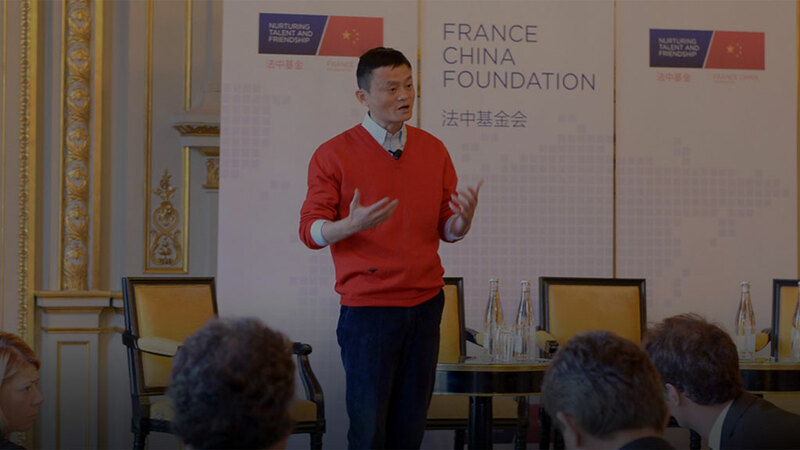 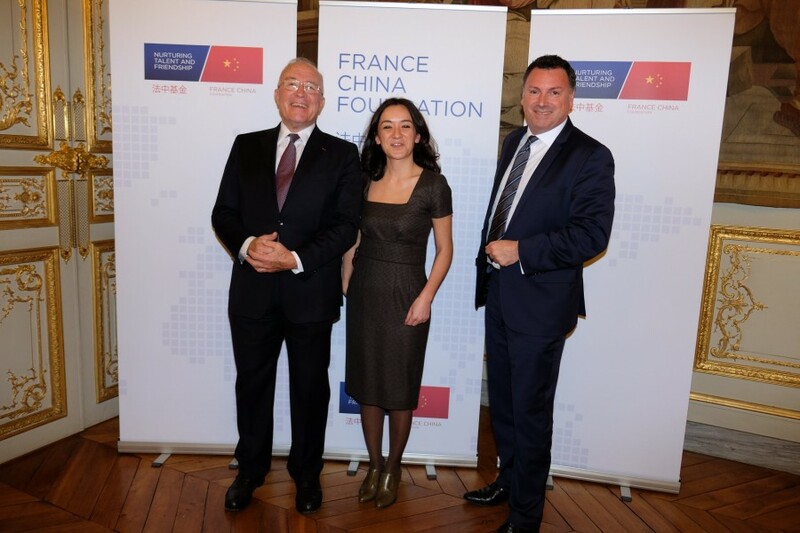 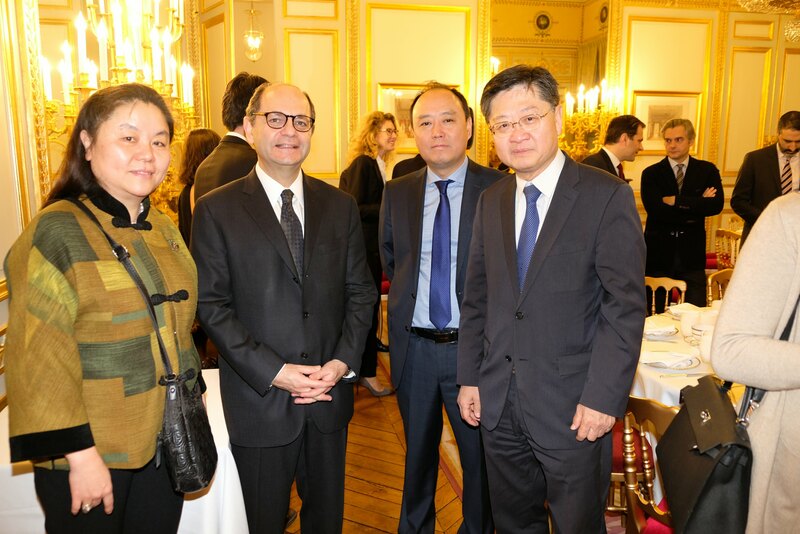 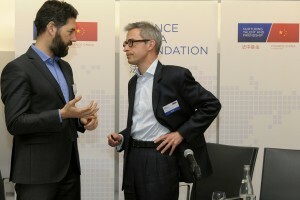 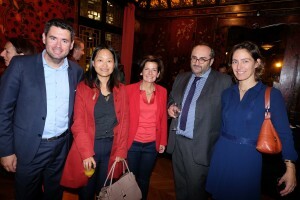 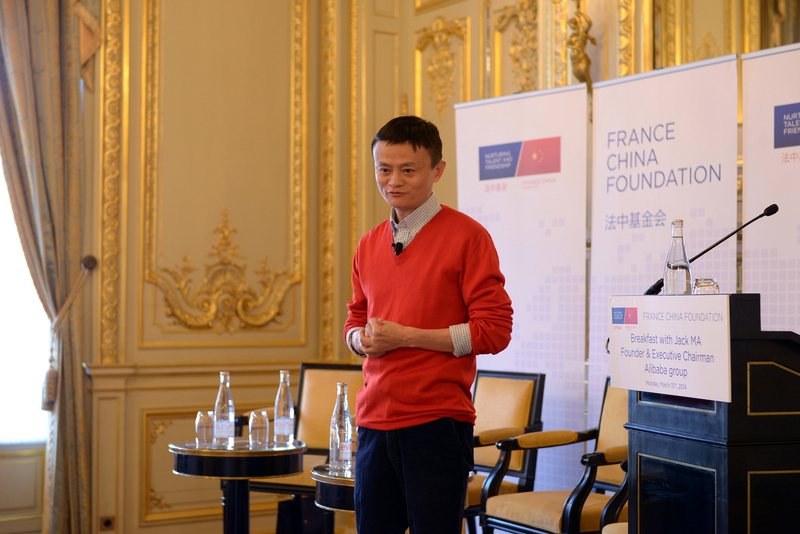 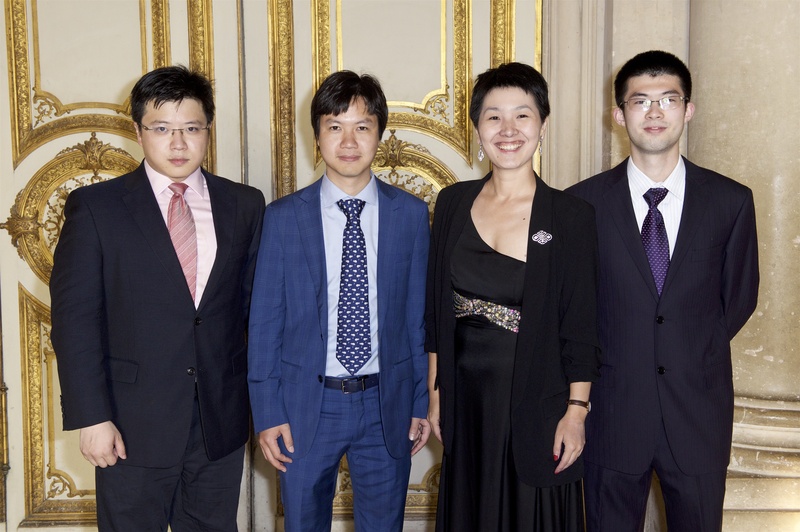 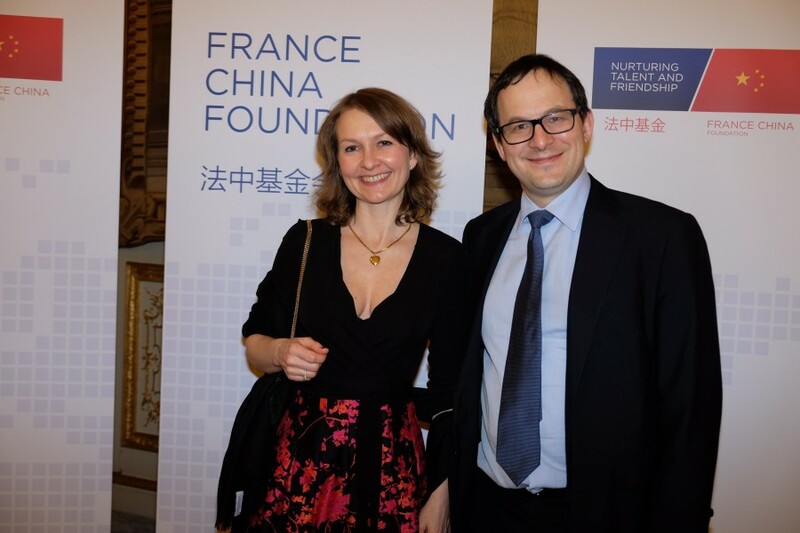 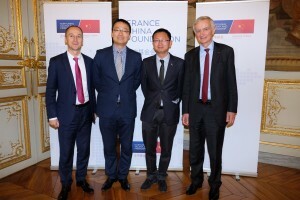 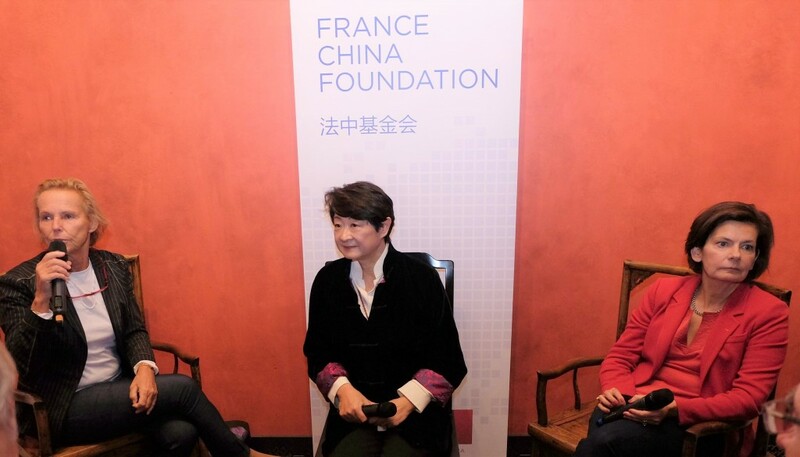 The France China Foundation was pleased to welcome William DING, the Founder and CEO of NetEase, a Chinese giant in e-commerce and innovation in video games. 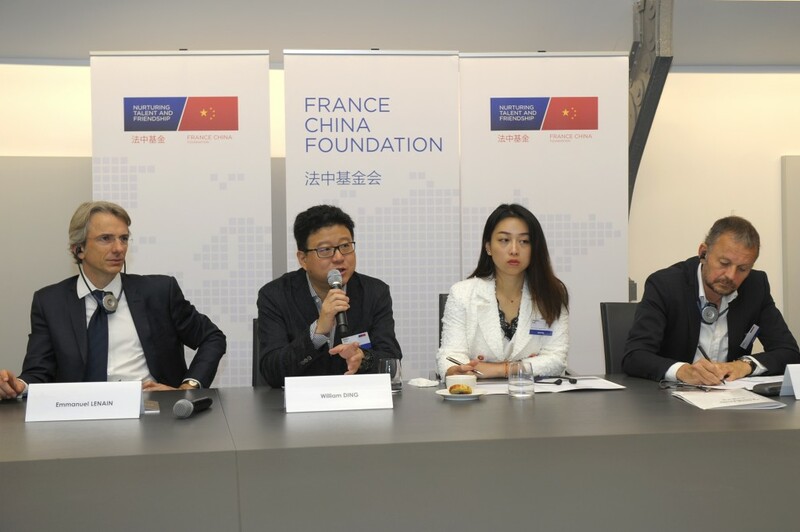 William DING shared his analysis of the upcoming technological breakthrough in China and answered the questions of the Young Leaders and members who attended the meeting. 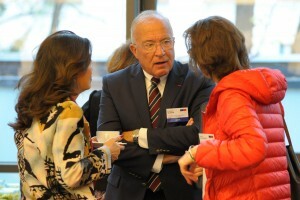 The discussion was led by Alain Ruello, journalist at Les Echos. 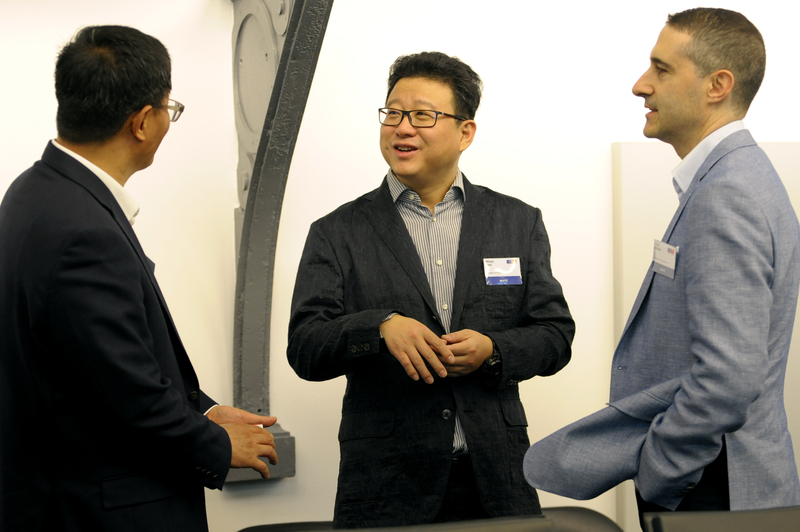 Xiao WANG, Vice-President, Kaola.com ; William DING, Founder and CEO, NetEase ; Bruno BENSAID, Co-Founder, Shanghaivest Ltd. 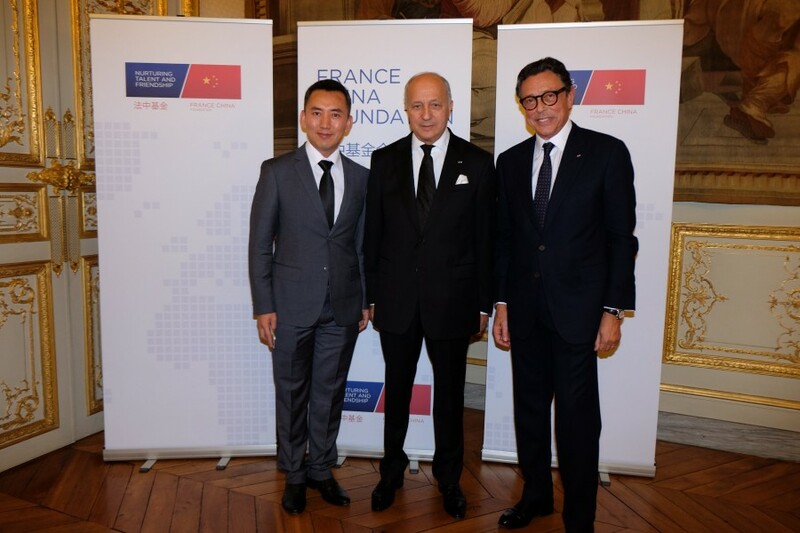 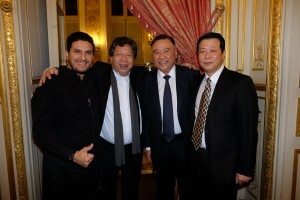 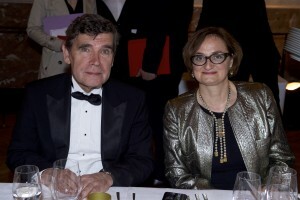 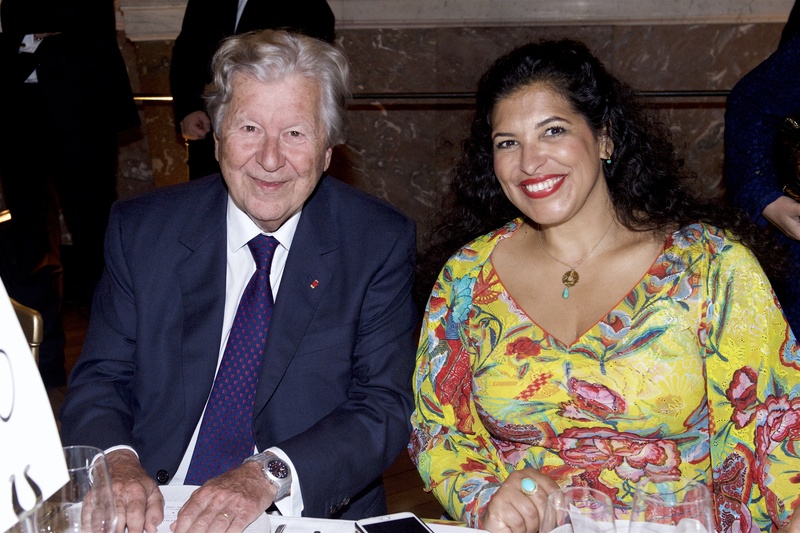 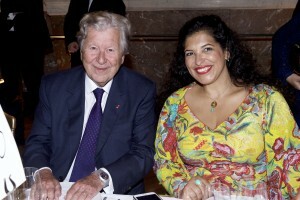 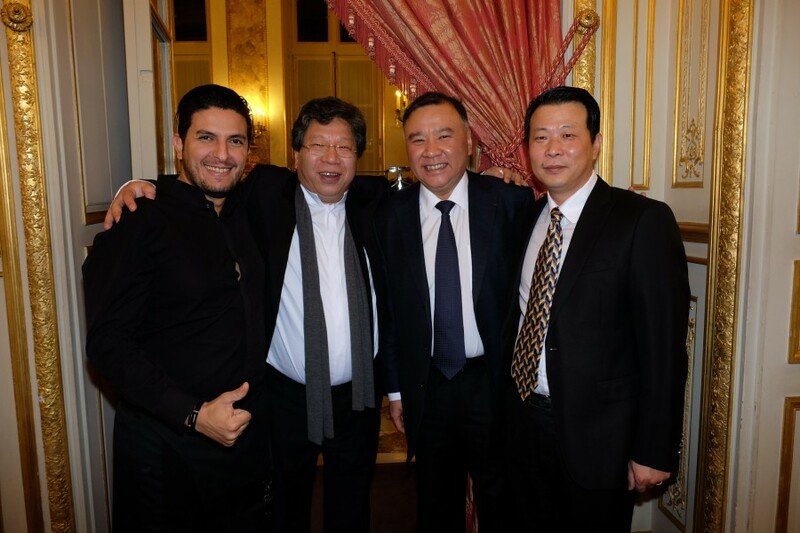 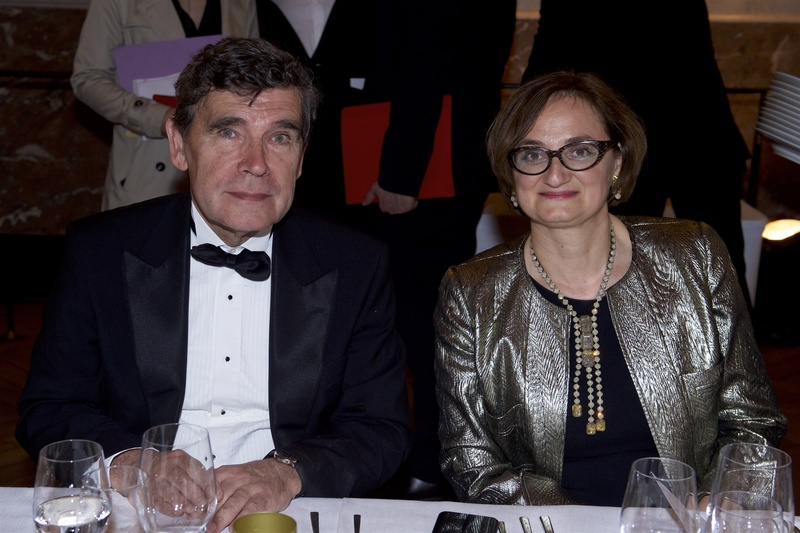 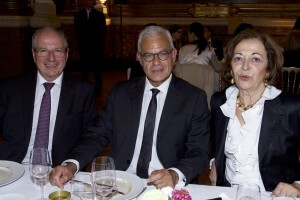 Under the high patronage of Claude Bartolone, President of the National Assembly, France China Foundation held its first gala dinner orchestrated by Akrame Benallal, Michelin-starred chef and Young Leader. 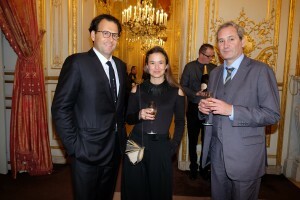 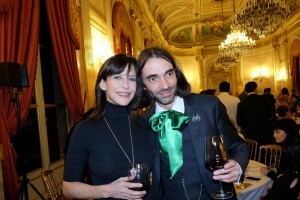 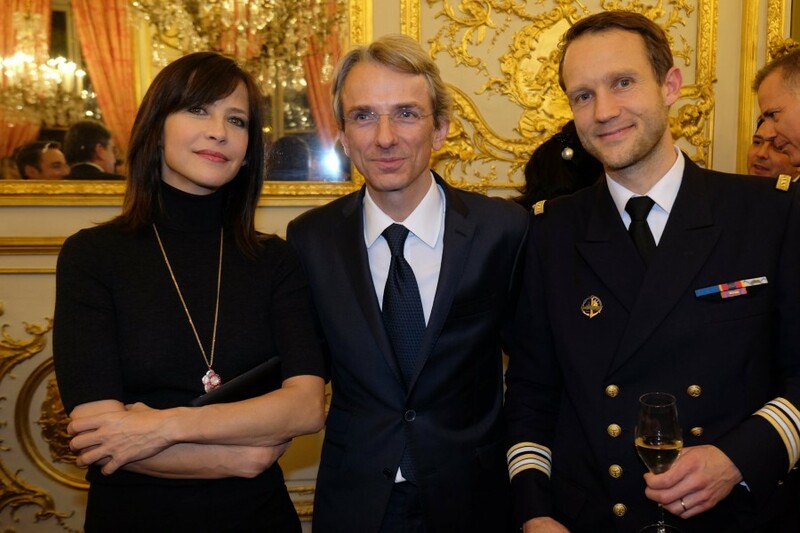 Our guest of honor was Sophie Marceau. 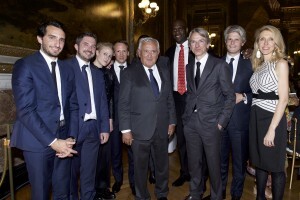 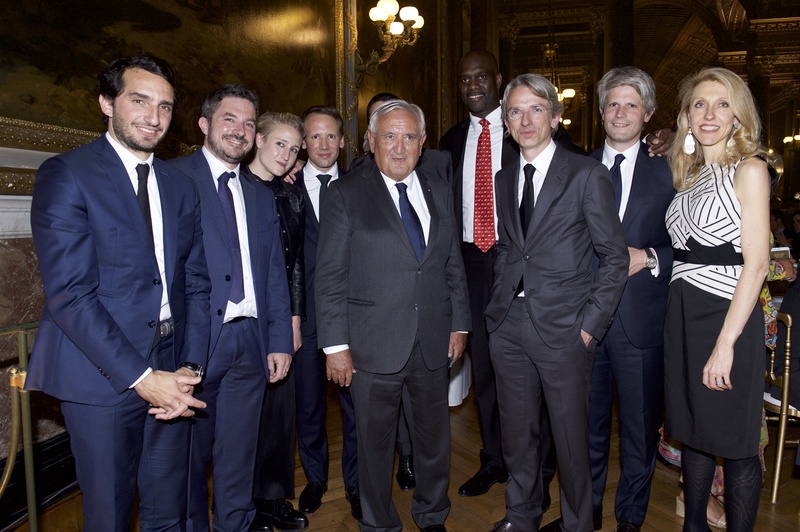 Among our guests: former Prime Ministers Laurent Fabius and Jean-Pierre Raffarin; Cédric Villani, French mathematician – 2010 Fields Medal; Chen Hong, actress and Wang Keping, sculptor; business leaders (Denis Duverne – AXA, Nicolas Houzé – Galeries Lafayette, Robert Peugeot – FFP, Laurent Milchior – ETAM, Jacques Richier – Allianz, François Quentin – Huawei) ; directors of cultural institutions such as Catherine Pégard (President of Château de Versailles) and Eric Lefebvre (Director of the Musée Cernuschi). 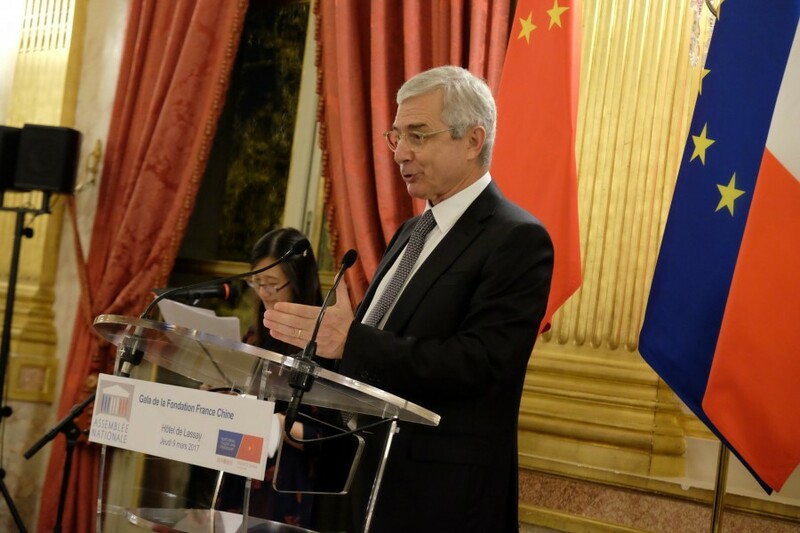 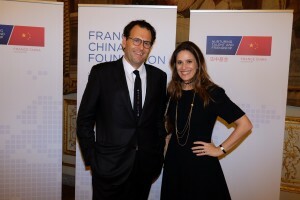 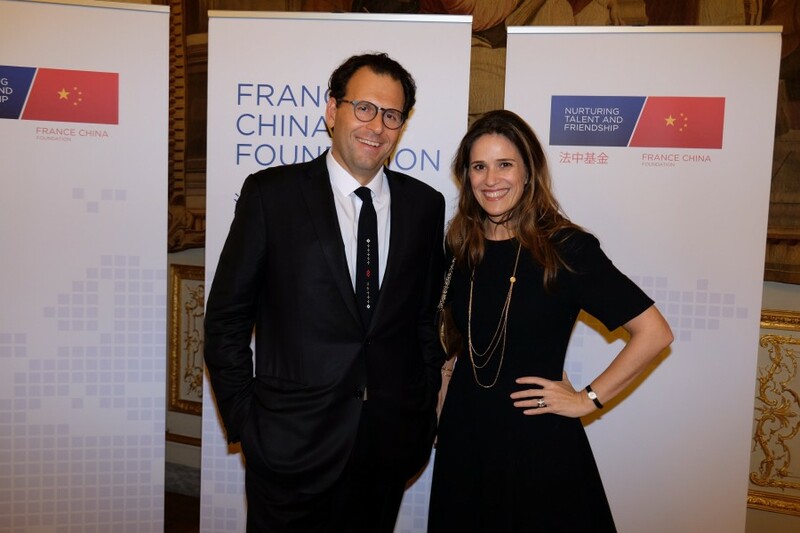 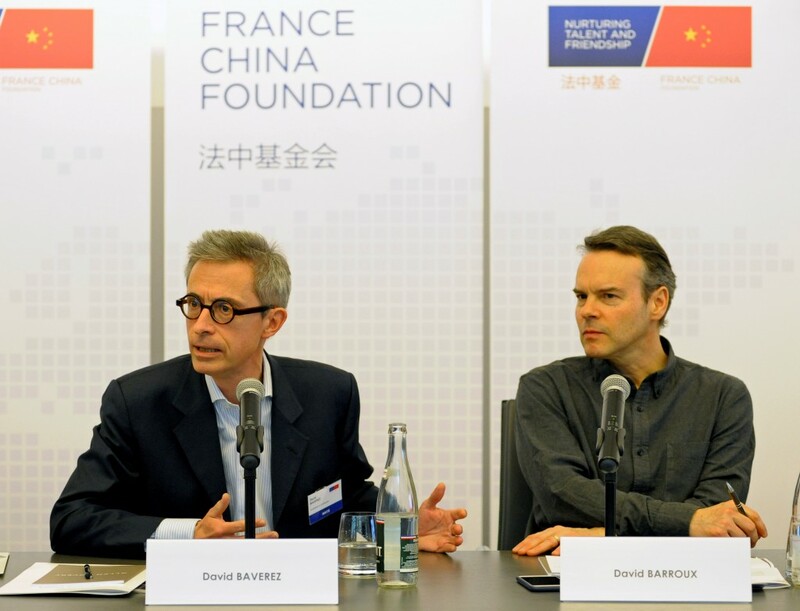 The France China Foundation had the great pleasure to host David BAVEREZ for a discussion about his new publication : Paris-Pékin Express – La nouvelle Chine racontée au futur Président. 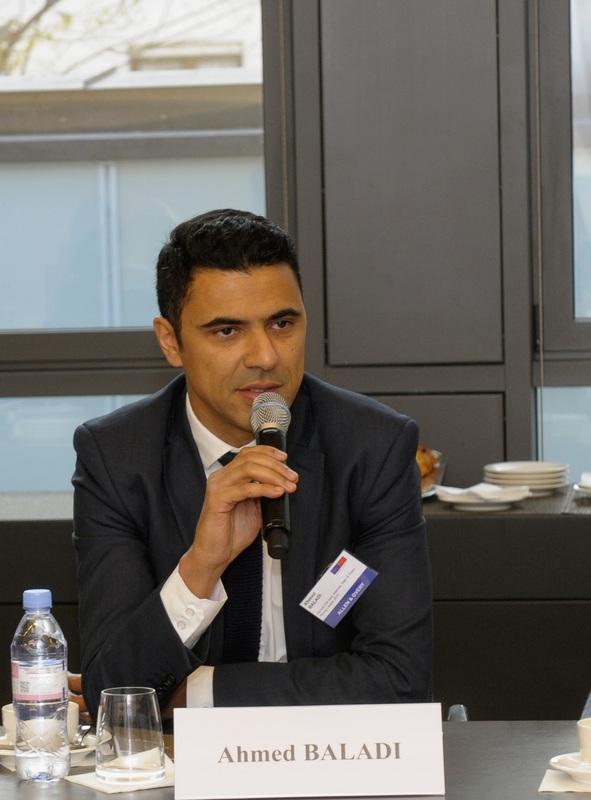 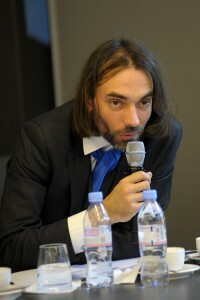 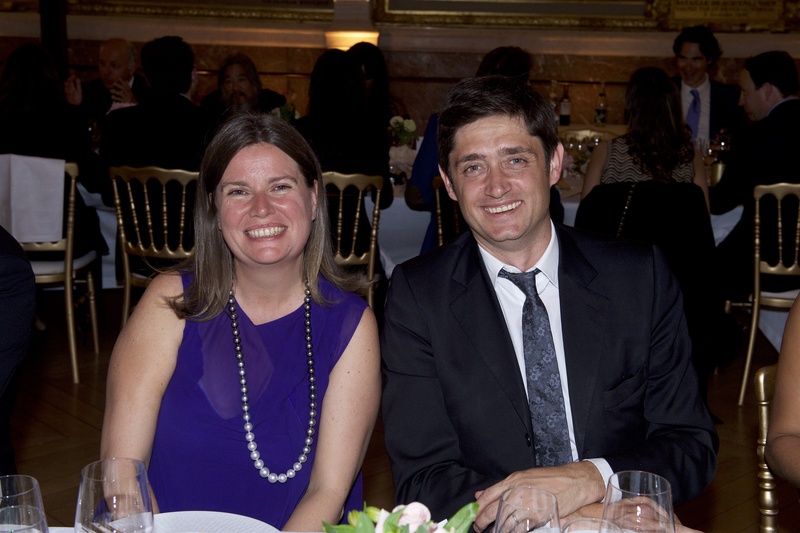 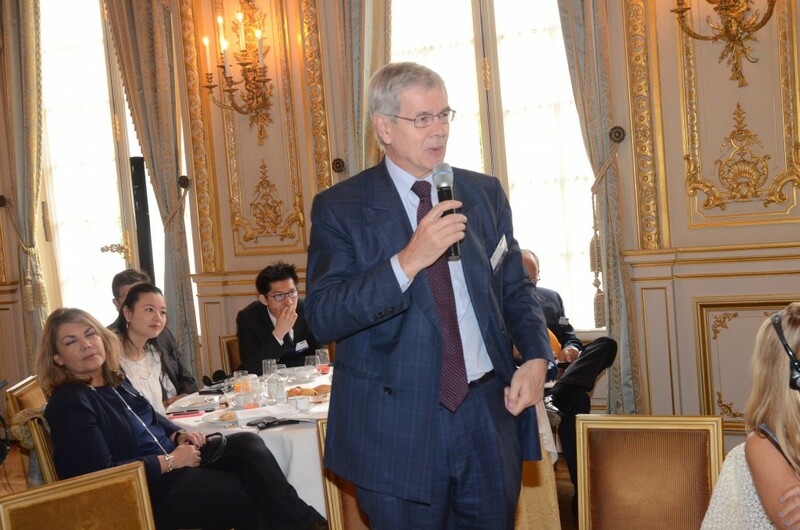 The debate was led by David BARROUX, Editor-in-Chief at Les Echos and Young Leader. 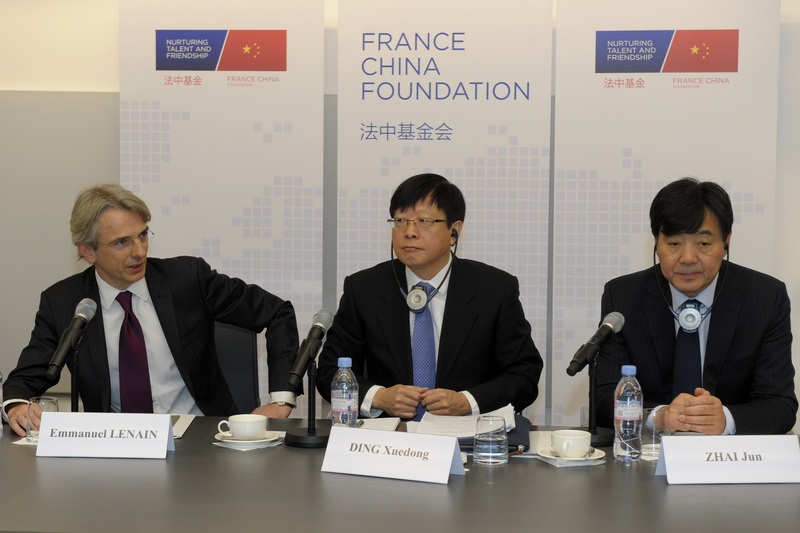 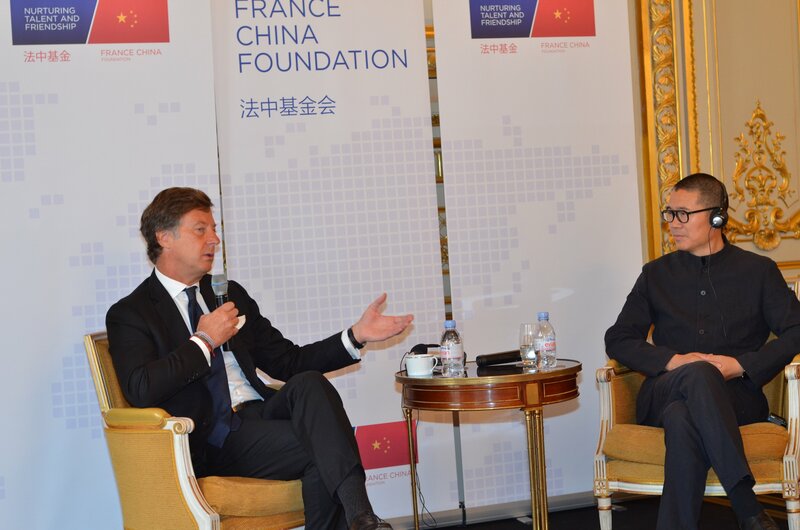 The France China Foundation was honored to welcome DING Xuedong, Chairman and CEO of CIC (China Investment Corporation) for a breakfast conference bringing together business leaders. 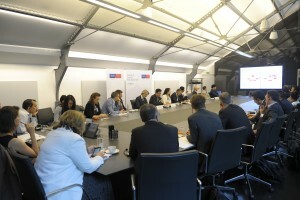 The conference dealt with Chinese economy, Chinese investments in Europe and more particularly, CIC’s strategy in France. 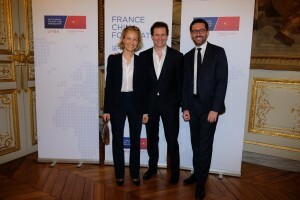 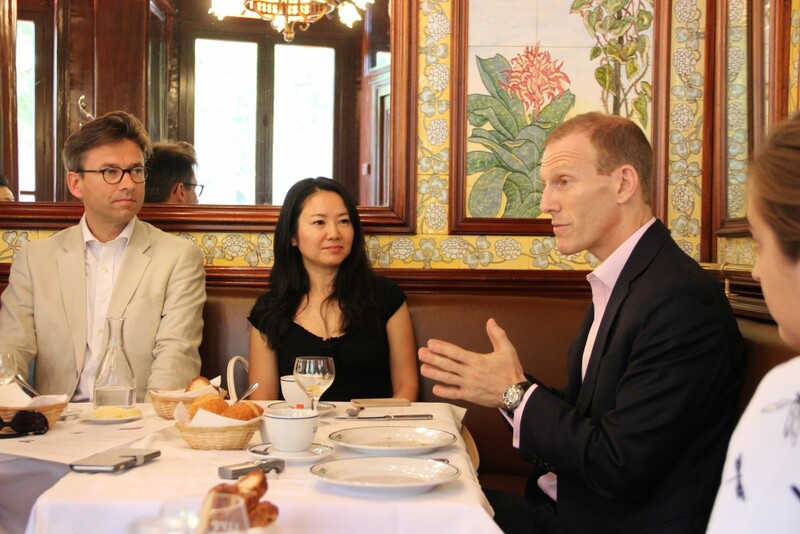 The France China Foundation had the great pleasure to host Matthias FEKL for a discussion with Young Leaders and some members of the France China Foundation. 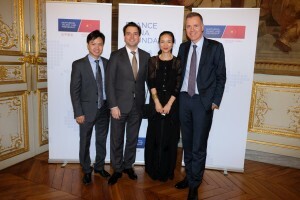 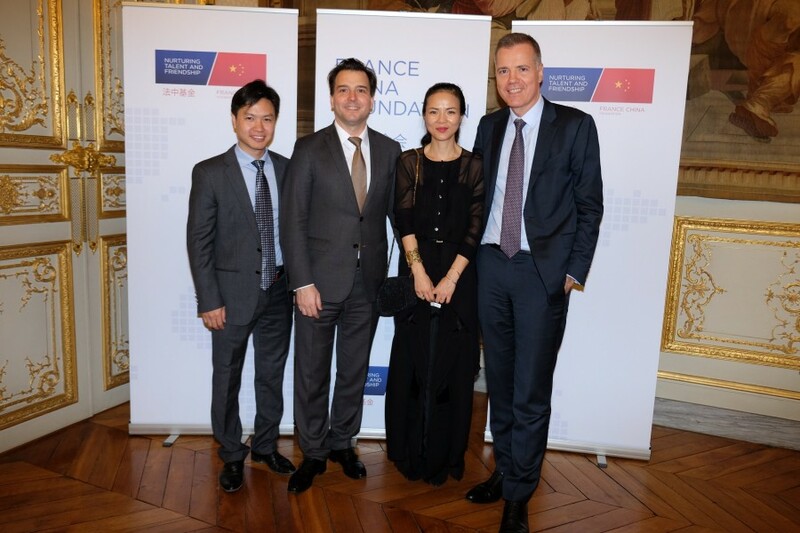 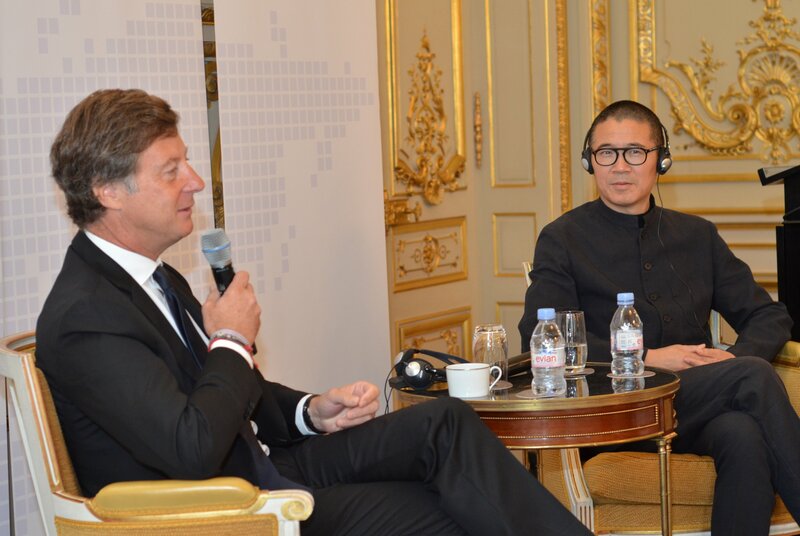 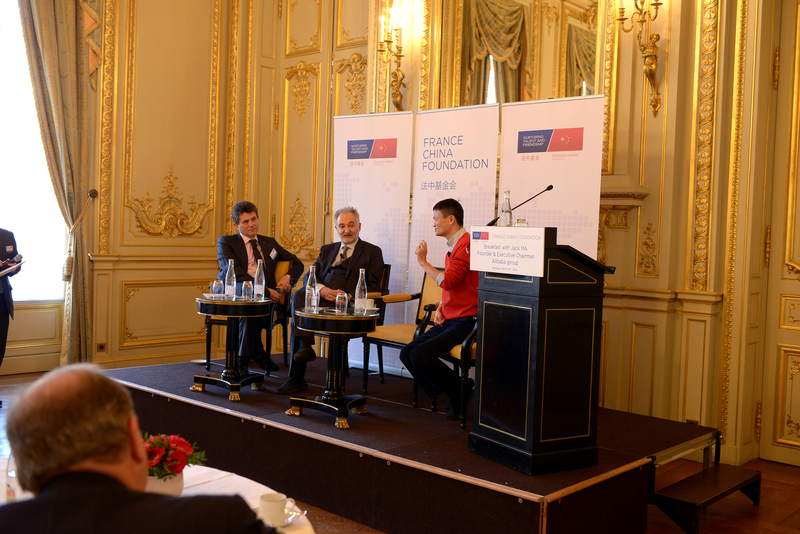 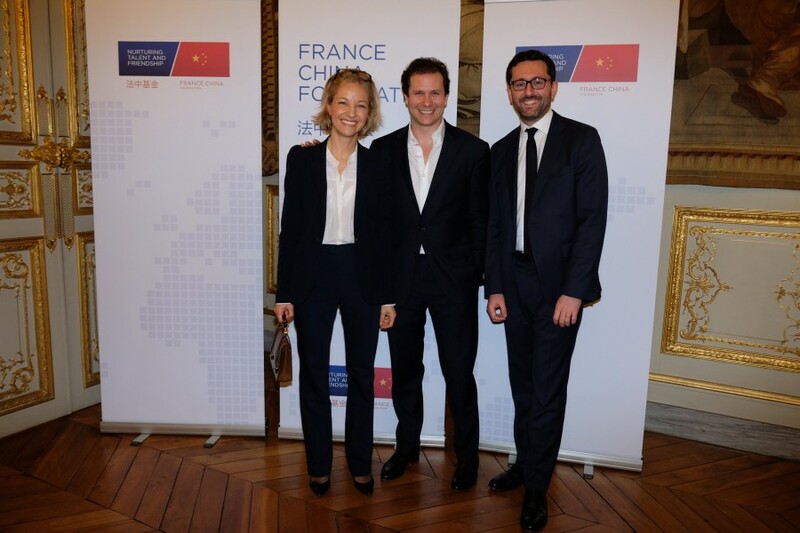 The France China Foundation had the pleasure to welcome JI Qi, Founder and CEO of Huazhu and Sébastien BAZIN, CEO of AccorHotels. 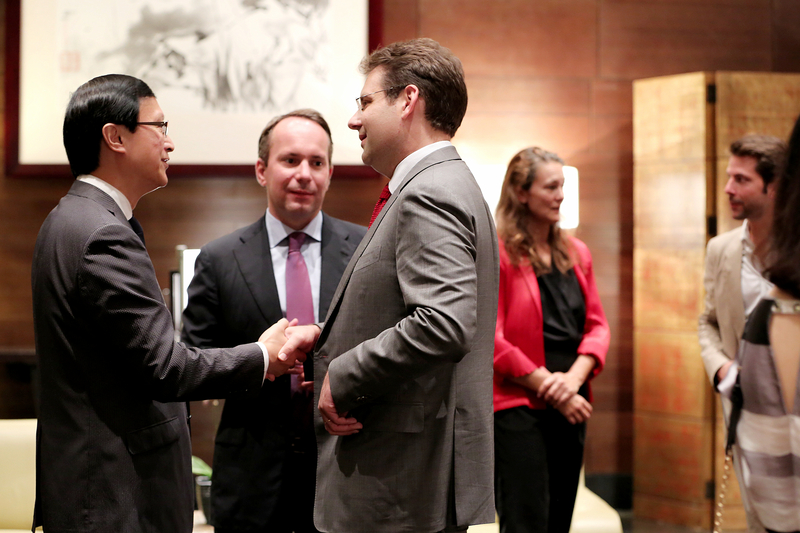 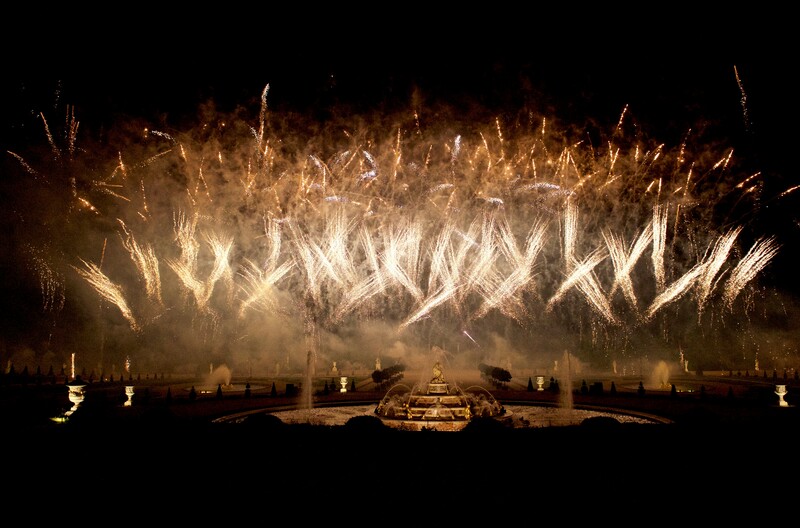 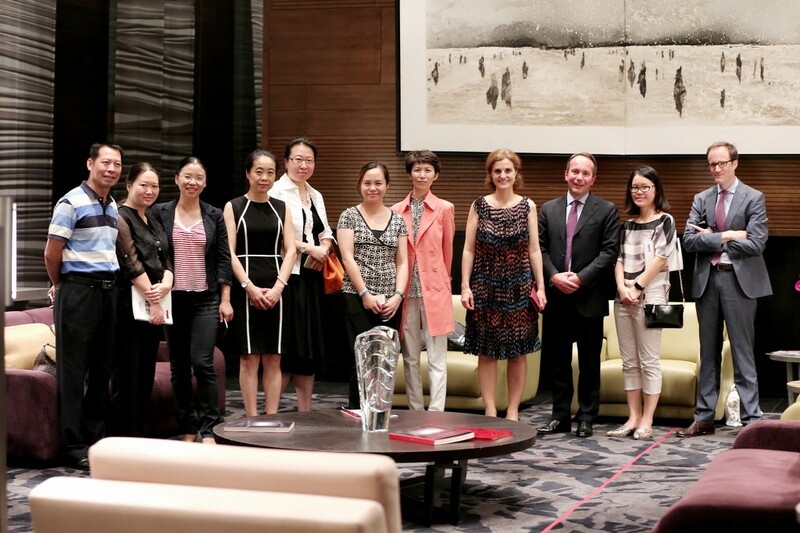 The two groups announced at the end of 2014 a strategic partnership that aims to create a giant hotel group in China. 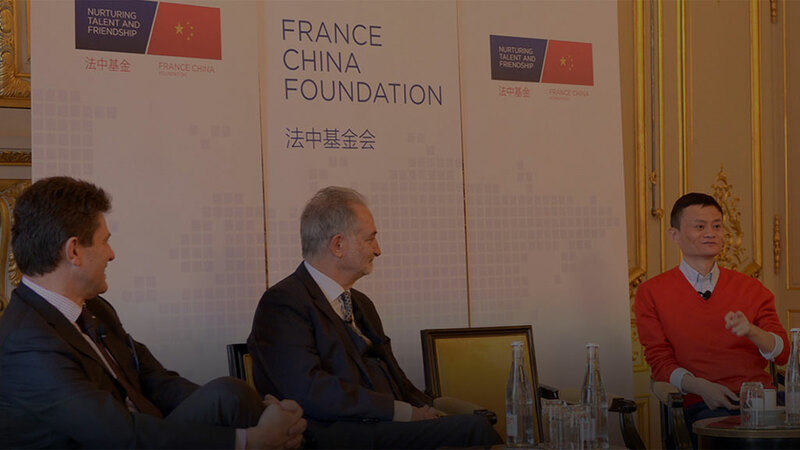 Their Presidents discussed during this breakfast the stages of this major operation and shared the lessons they drew for future Franco-Chinese partnerships. 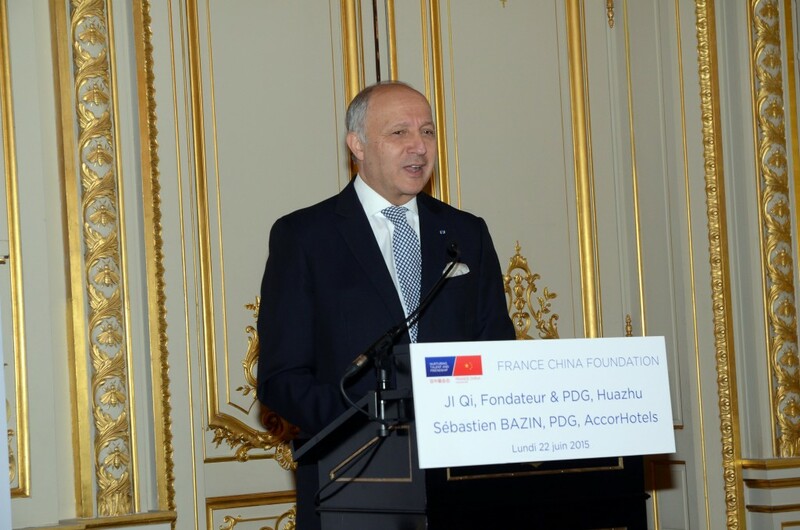 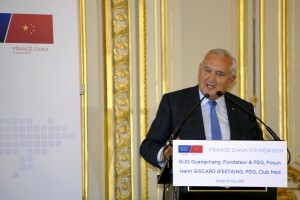 Laurent Fabius, Minister of Foreign Affairs, introduced this debate by recalling the strong historic ties and longstanding partnership between France and China. 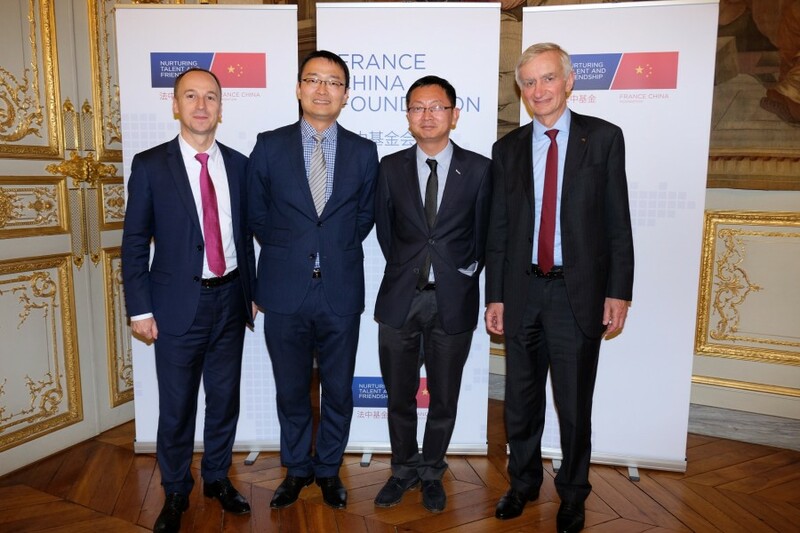 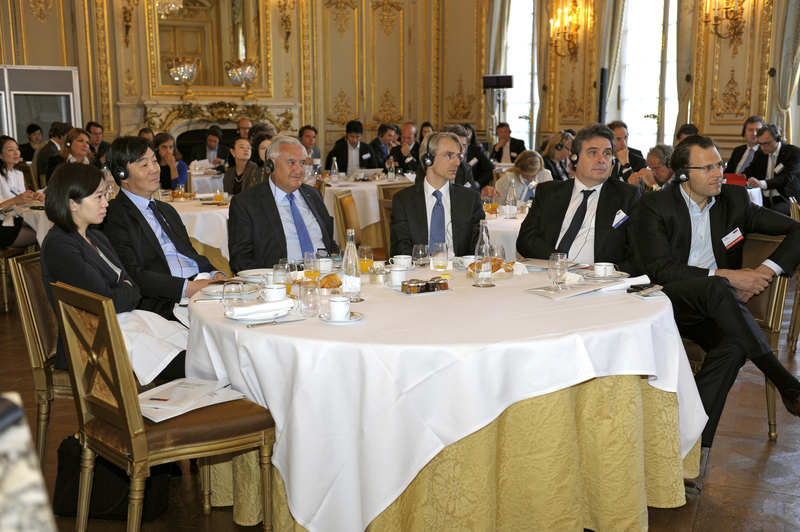 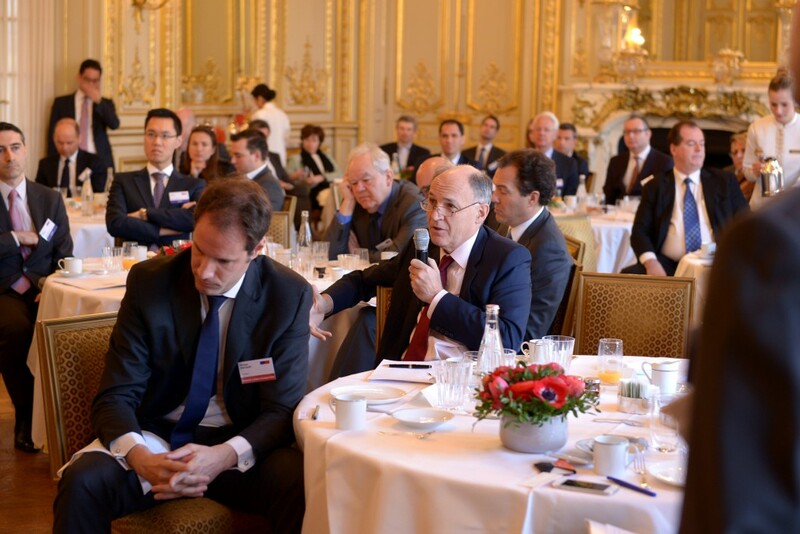 The France China Foundation had the pleasure to welcome GUO Guangchang, chairman of Fosun, and Henri GISCARD D’ESTAING, CEO of Club Med, for a breakfast conference bringing together business leaders. 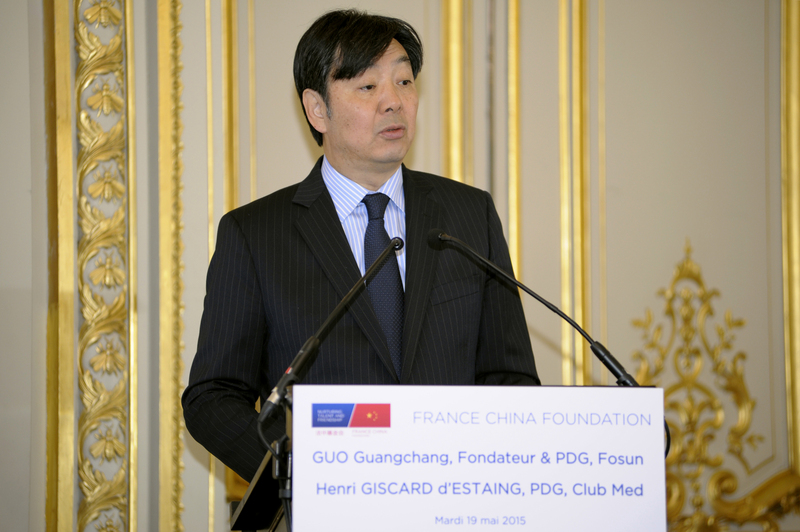 The conference dealt with the buyout of Club Med by Fosun and the strategies of the two chairmen. 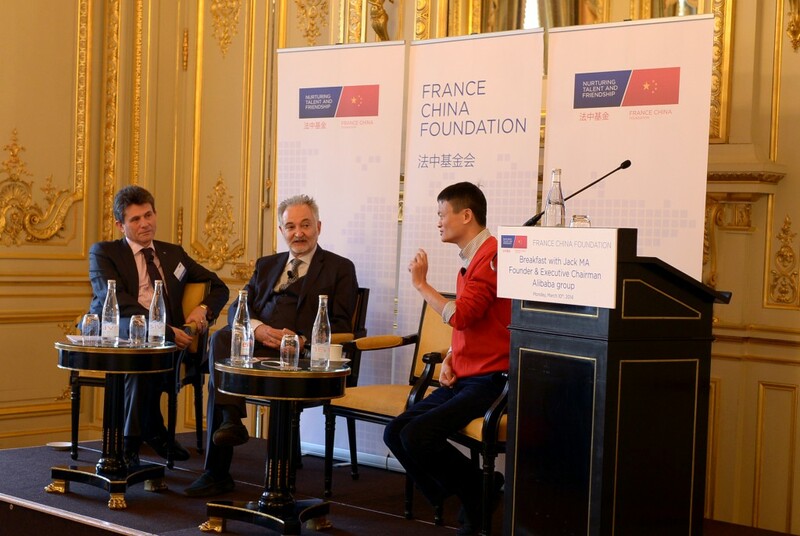 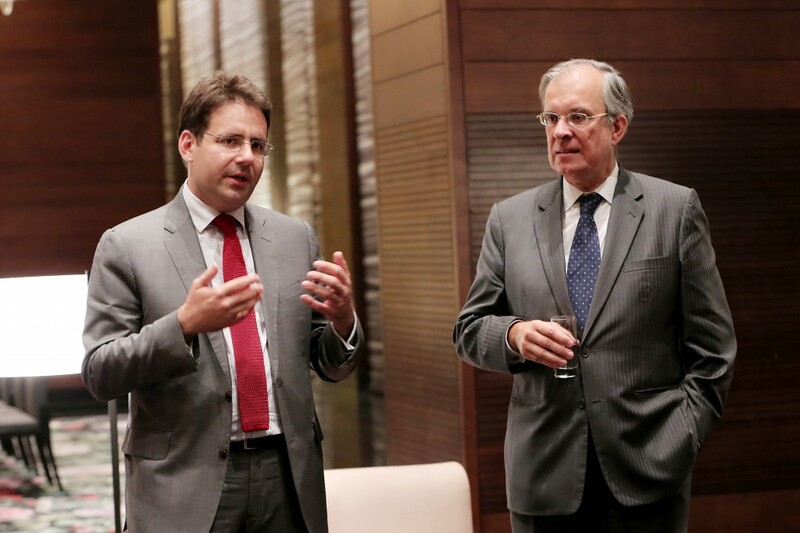 They shared the key lessons they learned, to help ensure the success of future Sino-French projects. 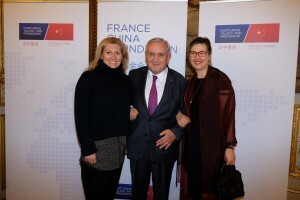 The intervention of the two presidents was introduced by Jean-Pierre Raffarin, former Prime minister and H.E.M. 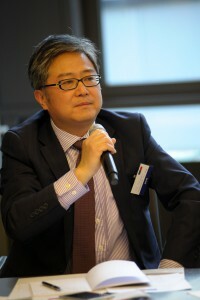 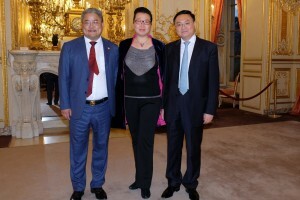 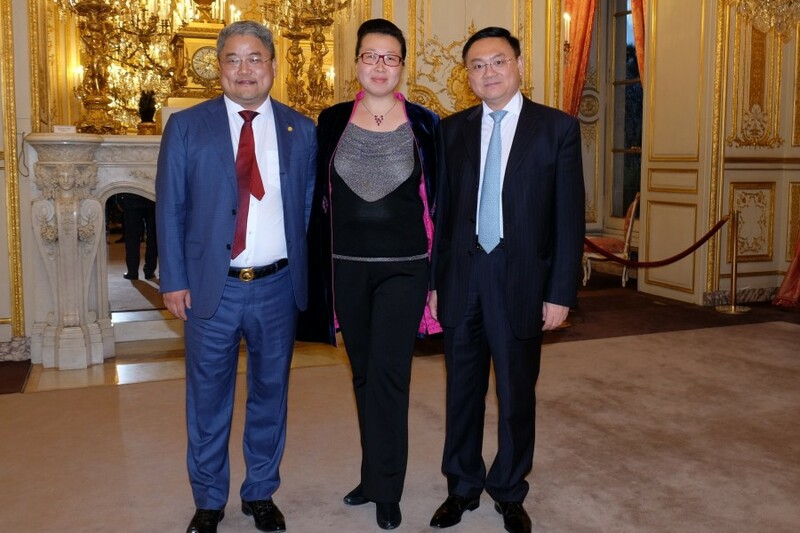 Zhai Jun, Ambassador of China in France. 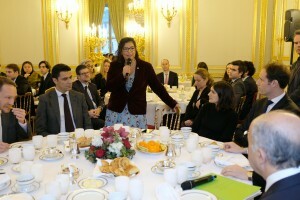 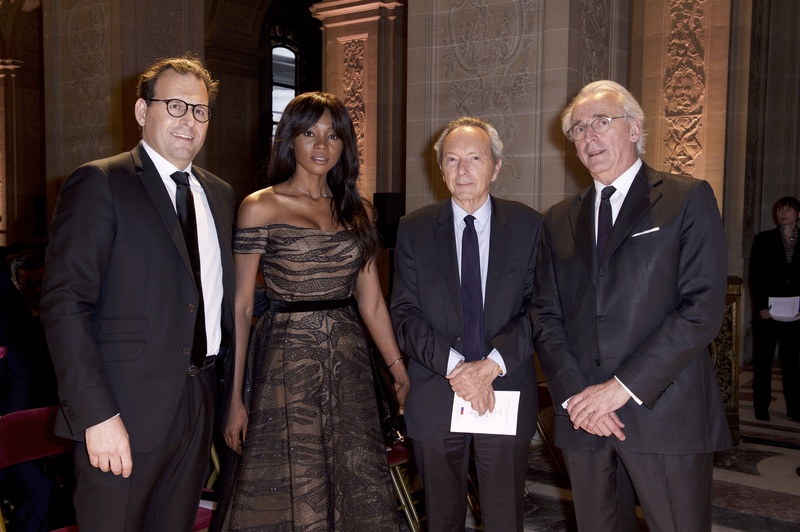 The intervention of the two presidents was followed by a discussion with major French companies leaders.